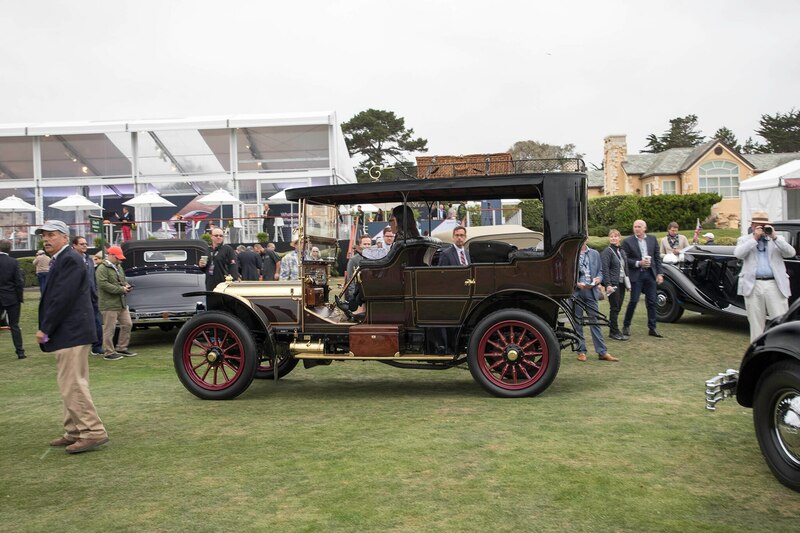 The 2017 Pebble Beach Car Week was a whirlwind of automotive enthusiast activities. 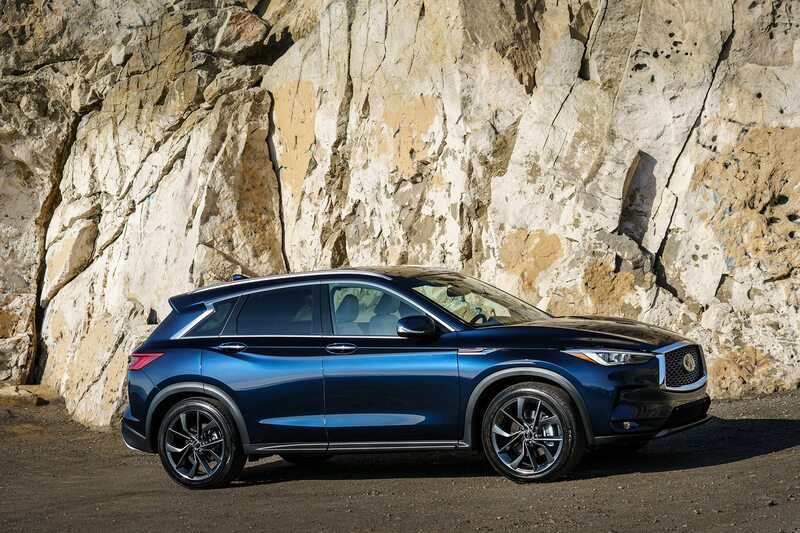 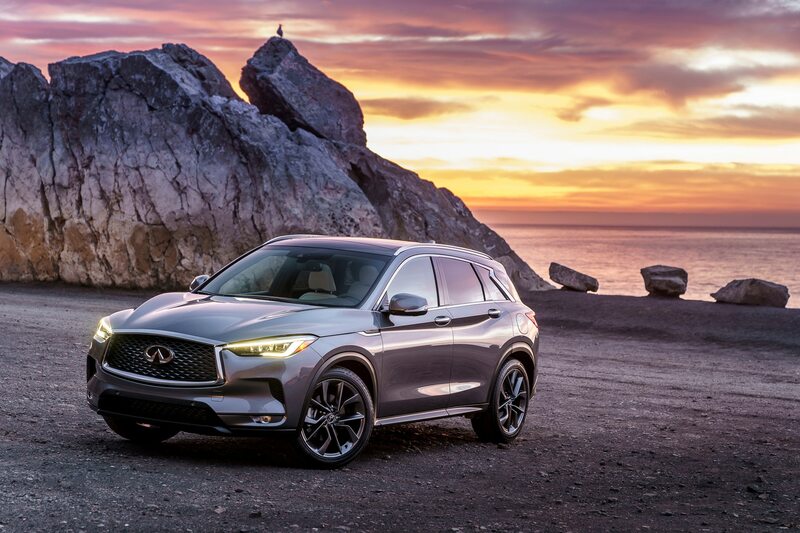 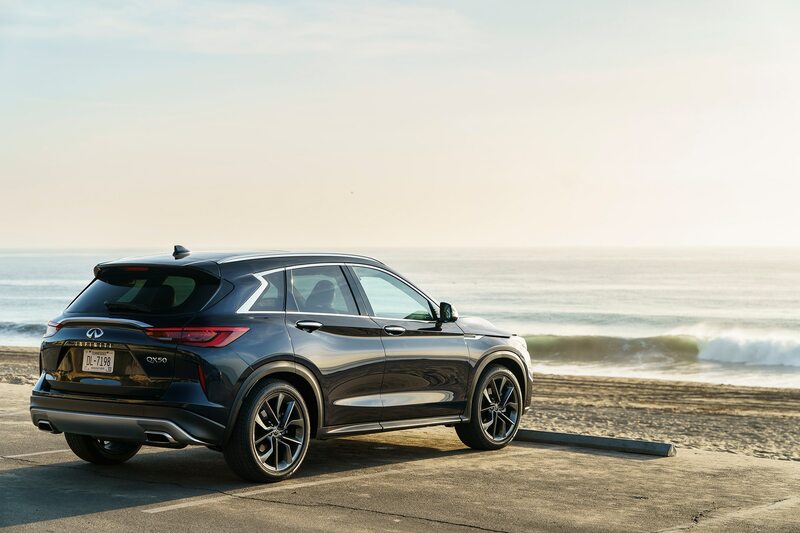 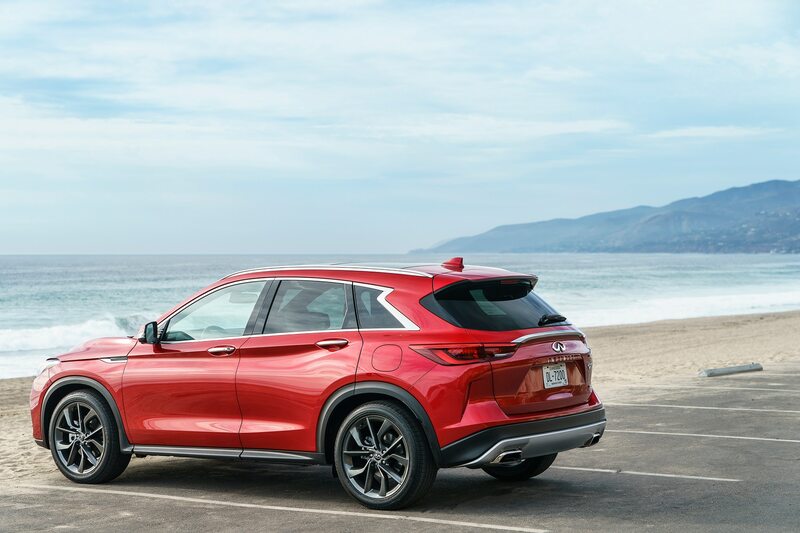 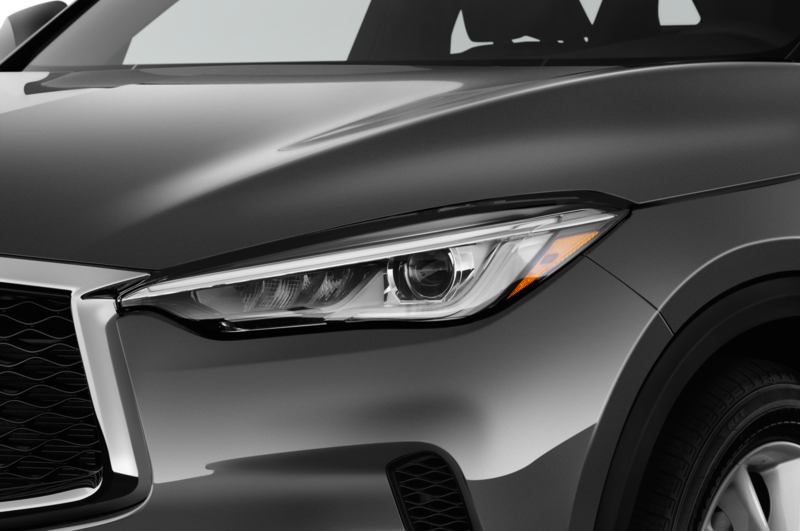 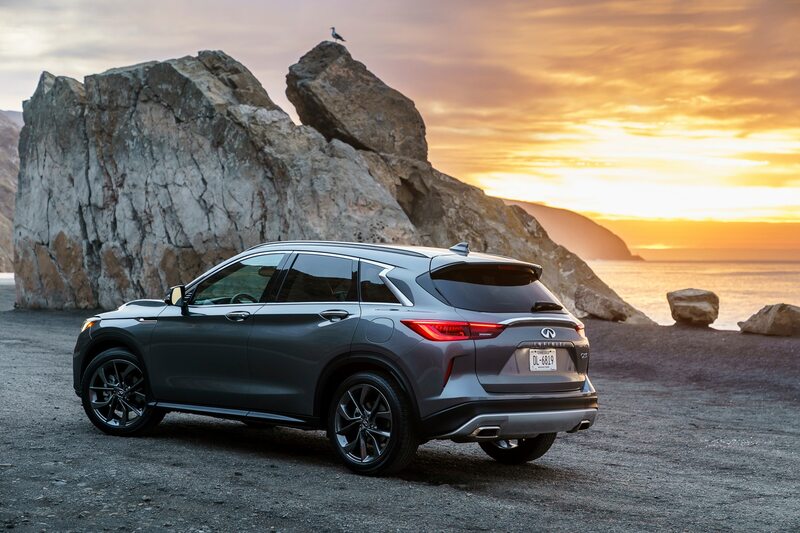 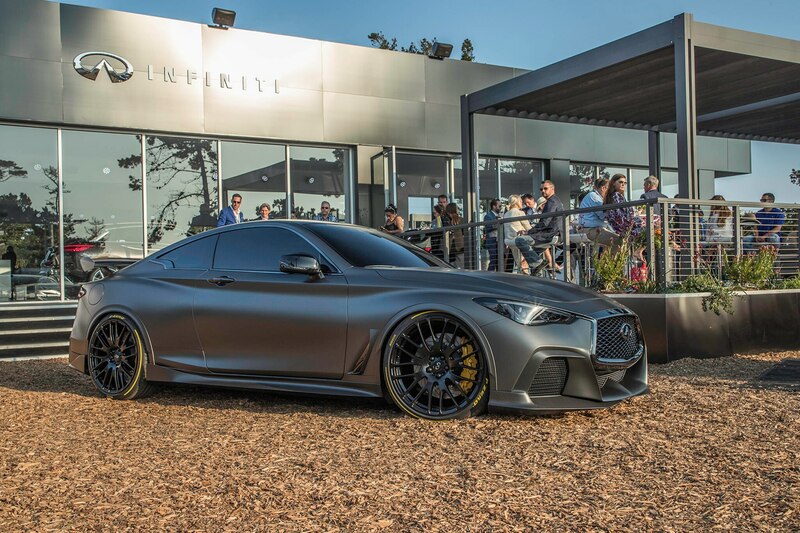 INFINITI partnered with TEN: The Enthusiast Network and MOTOR TREND to bring their most immersive experiences yet to the Pebble Beach Concours d’Elegance. 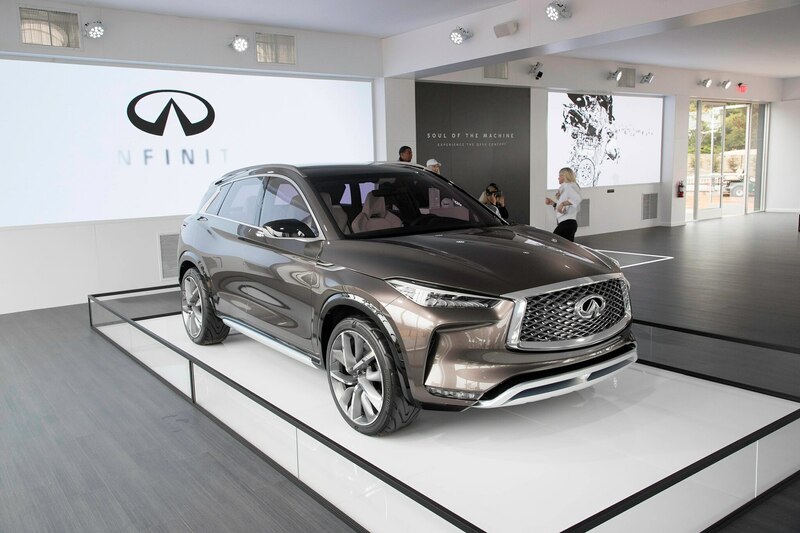 The INFINITI Pavilion events included the INFINITI Reception, which featured The Shadowboxers, an American pop band, the INFINITI SOUL OF THE MACHINE virtual reality experience, the QX80 Monograph Concept, and a Ride and Drive featuring INFINITI’s full line of luxury vehicles. 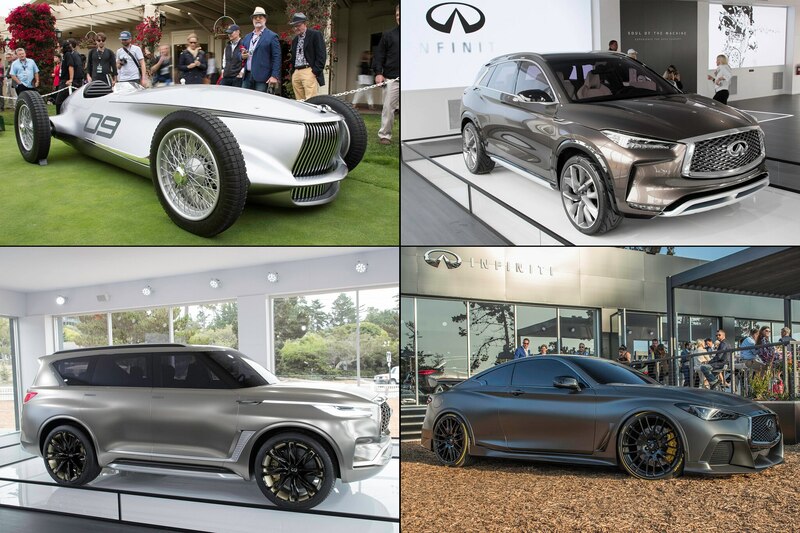 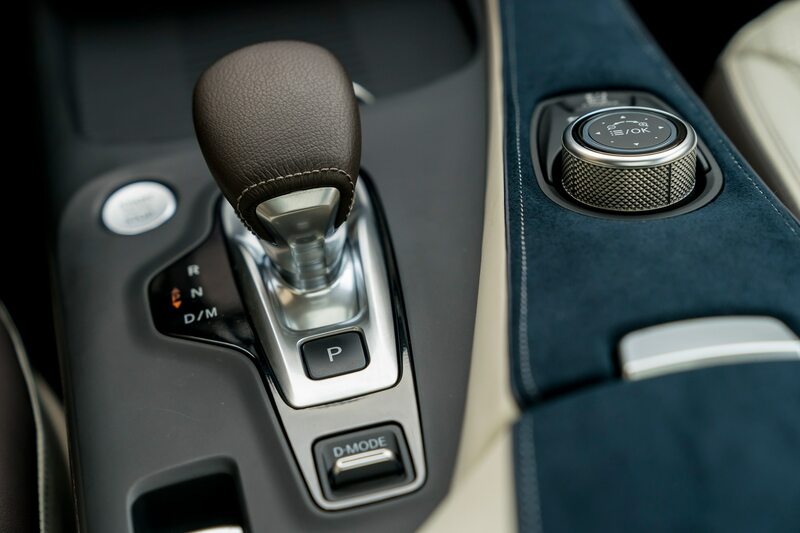 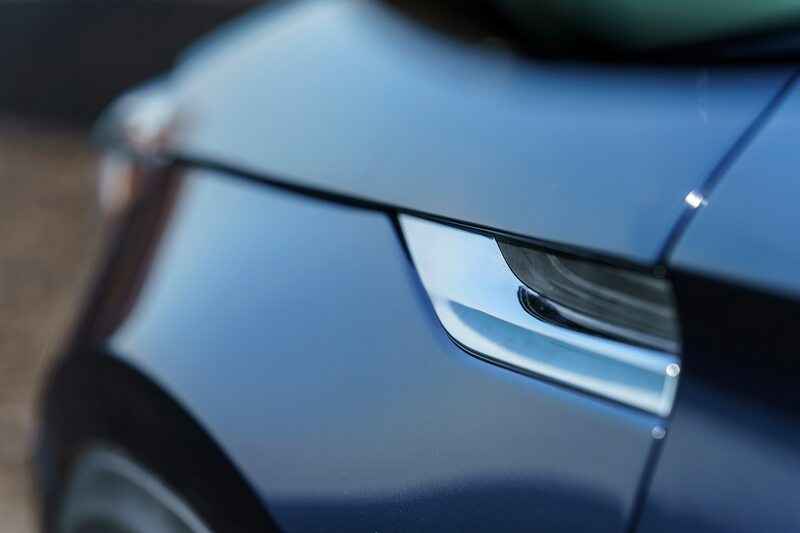 Other Car Week highlights included the Pebble Beach Concours d’Elegance, The Quail – A Motorsports Gathering, MOTOR TREND’s Editor in Chief Ed Loh’s most intriguing cars of the week picks, the Pebble Beach Concept Lawn, and Best of Show. 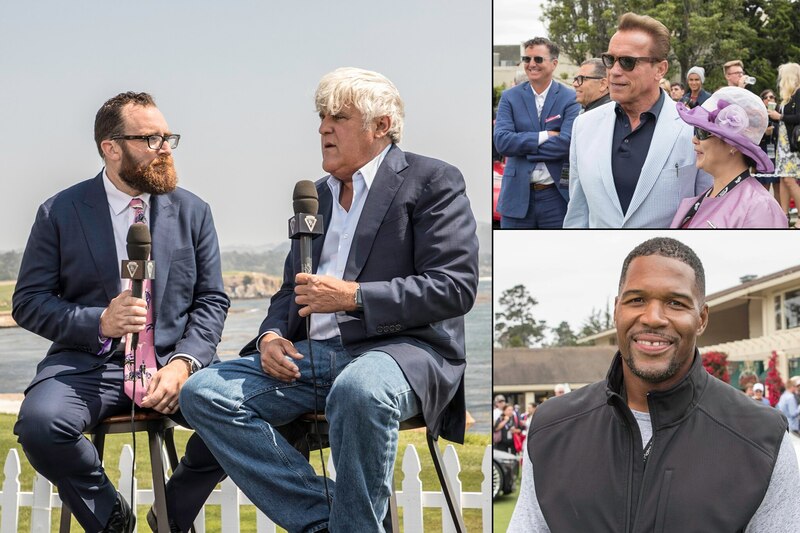 Arnold Schwarzenegger, Michael Strahan, and Jay Leno, renowned car enthusiasts, enjoyed the events of the 2017 Pebble Beach Car Week powered by INFINITI. 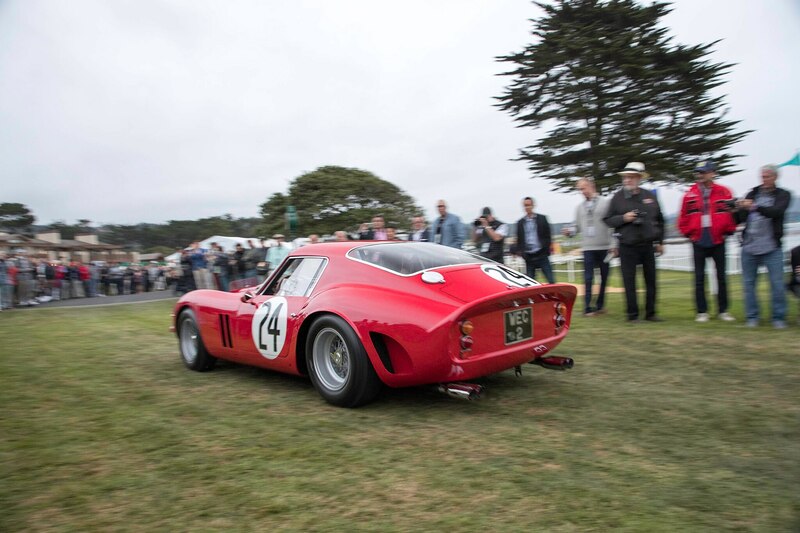 Some more memorable highlights from the prestigious 2016 Pebble Beach Car Week. 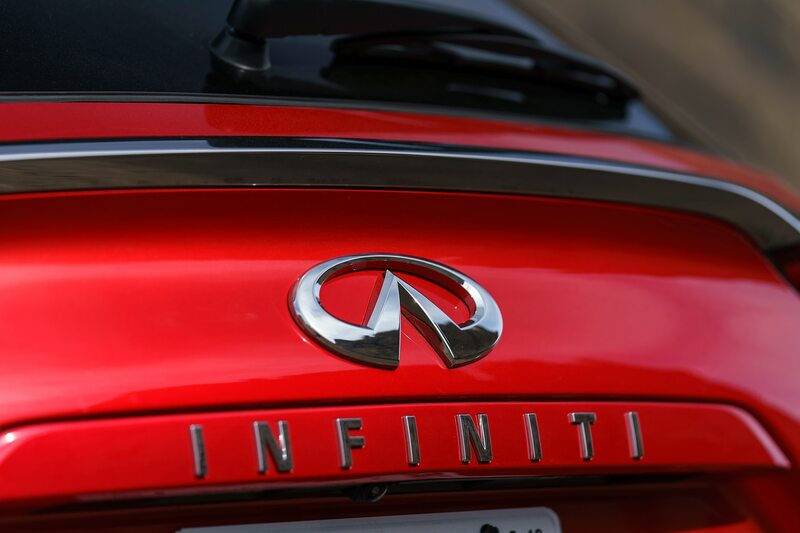 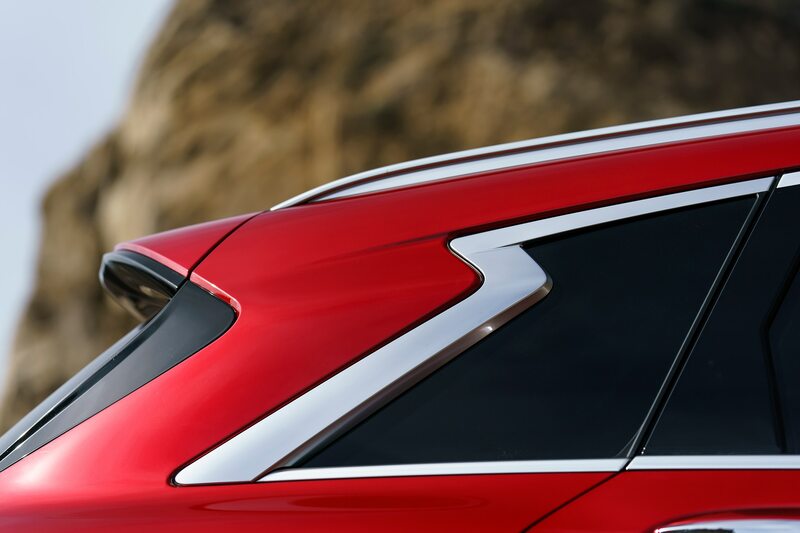 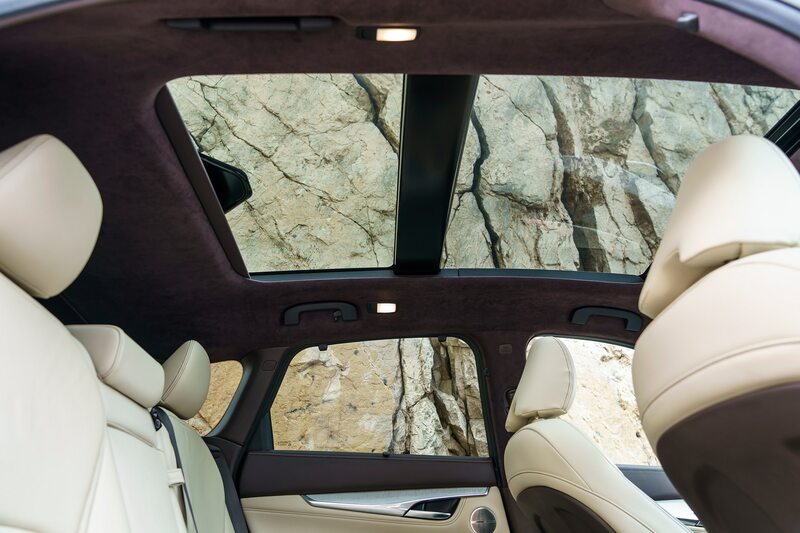 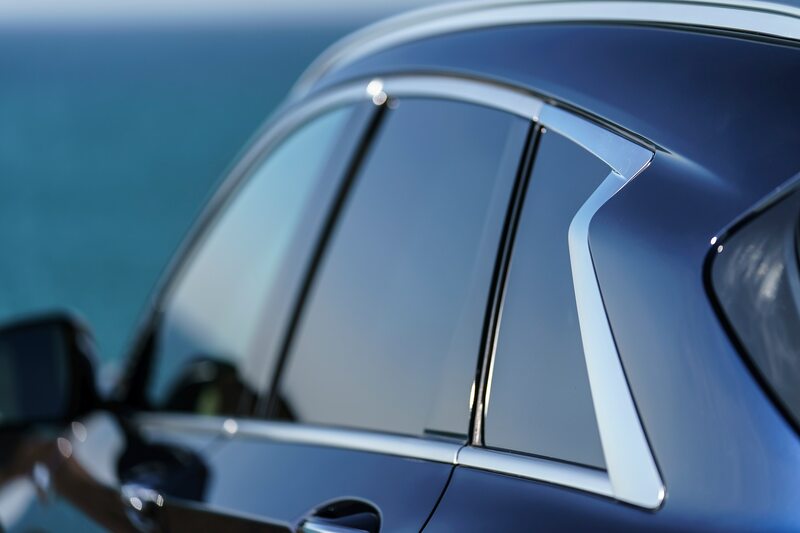 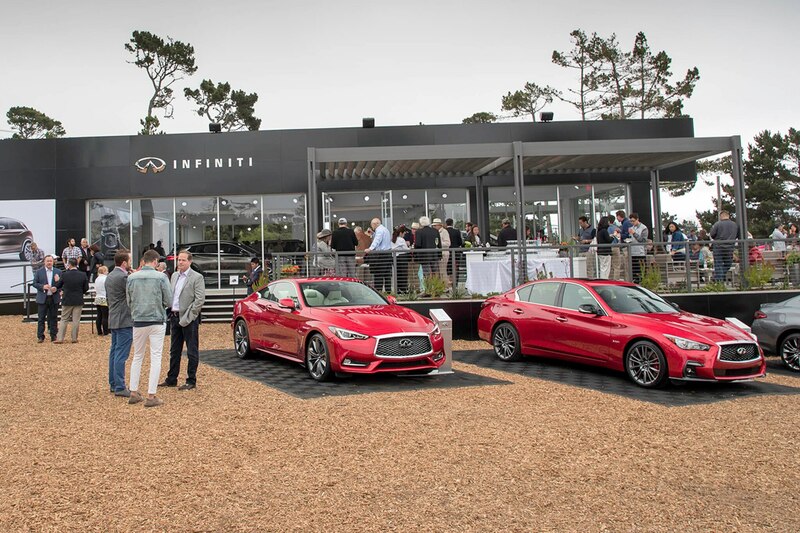 INFINITI brought their most immersive experience yet to the Pebble Beach Concours d’Elegance. 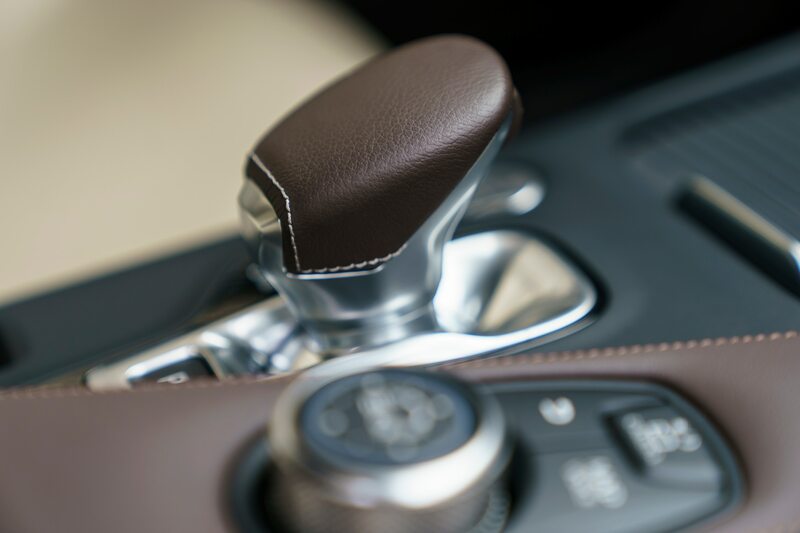 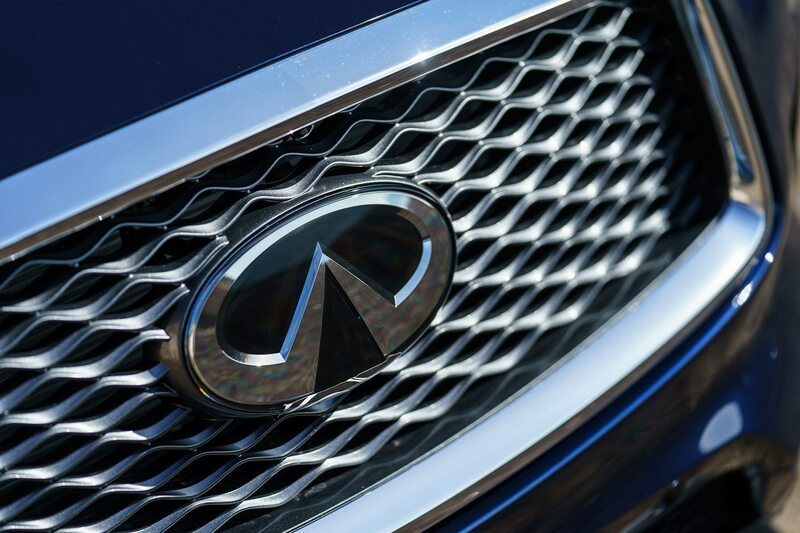 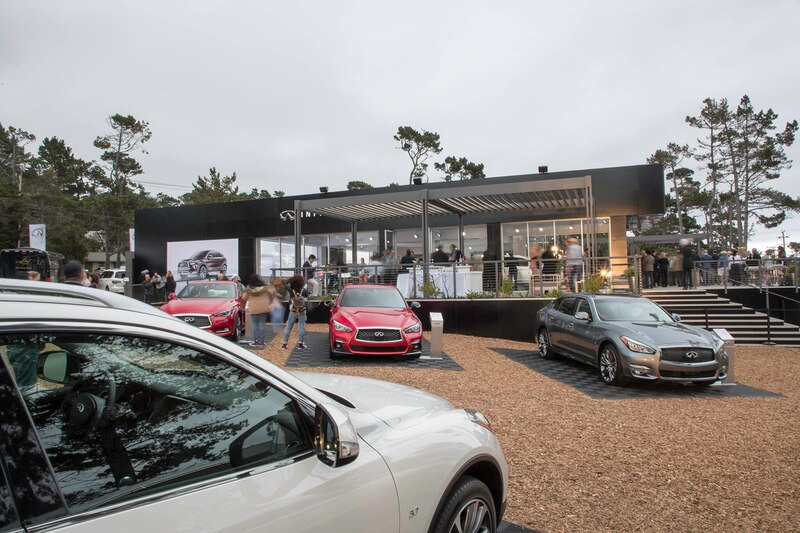 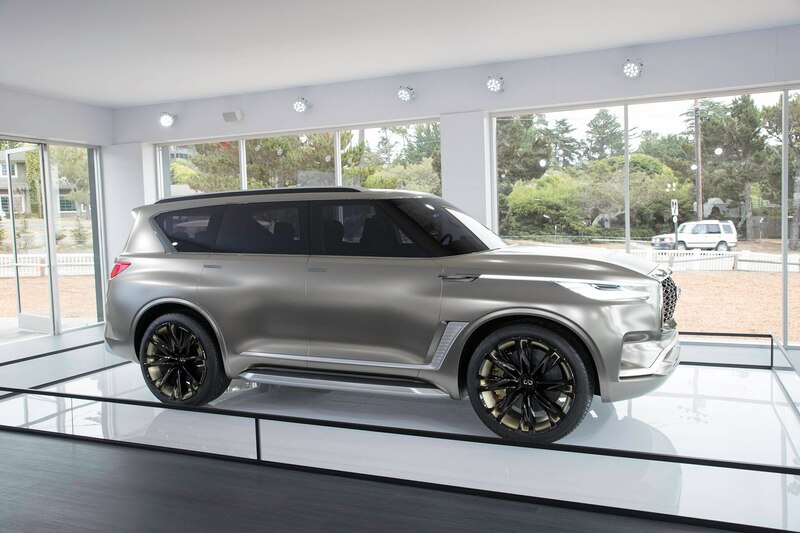 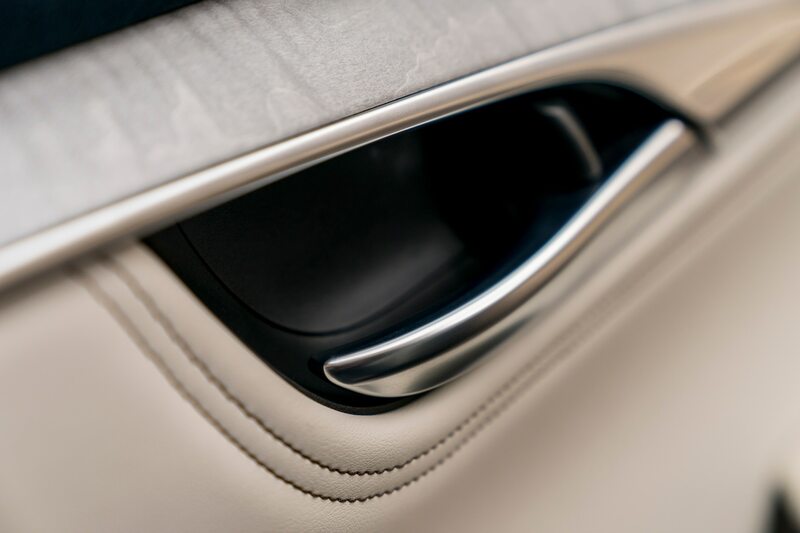 Marking their twelfth consecutive return to the Pebble Beach Concours d’Elegance, INFINITI treated guests to their most immersive experience yet, with two locations of complete sensory indulgence, courtesy of the world’s most innovative luxury brand. 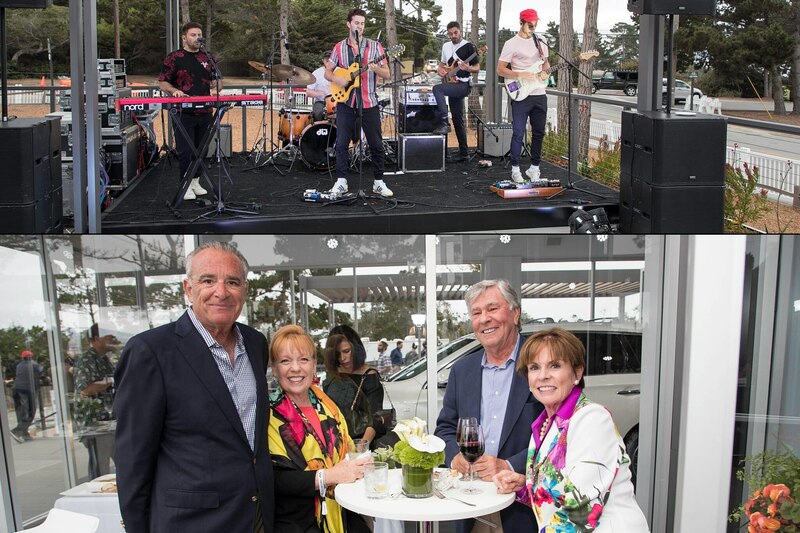 INFINITI Reception at Pebble Beach: Guests arriving at the INFINITI Pavilion at Pebble Beach were greeted with gourmet hors d’oeuvres and upbeat, warm soundwaves from The Shadow- boxers—an American pop band that puts a modern spin on soulful, vintage funk. 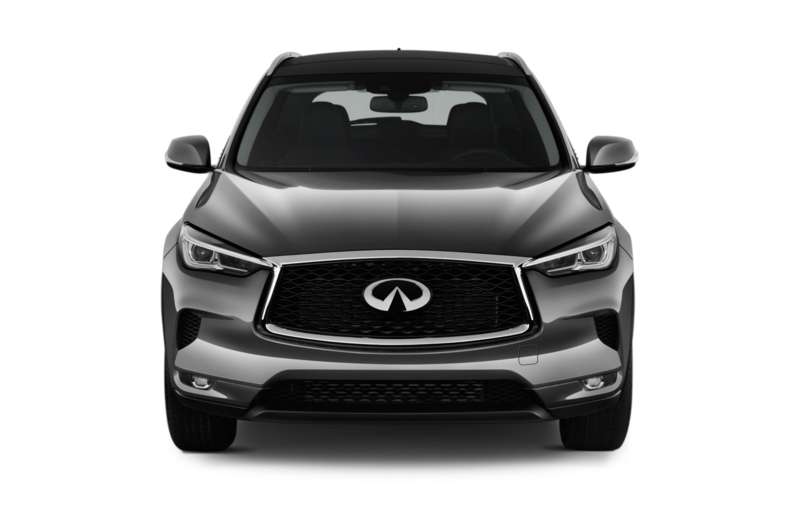 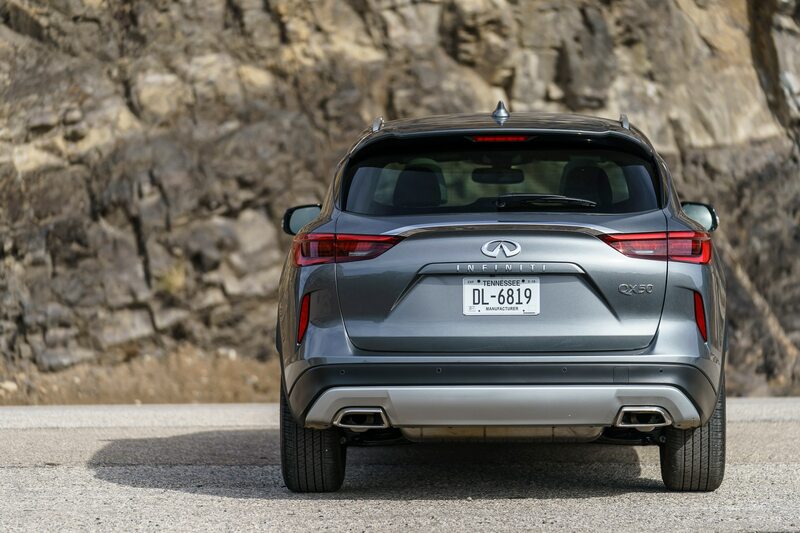 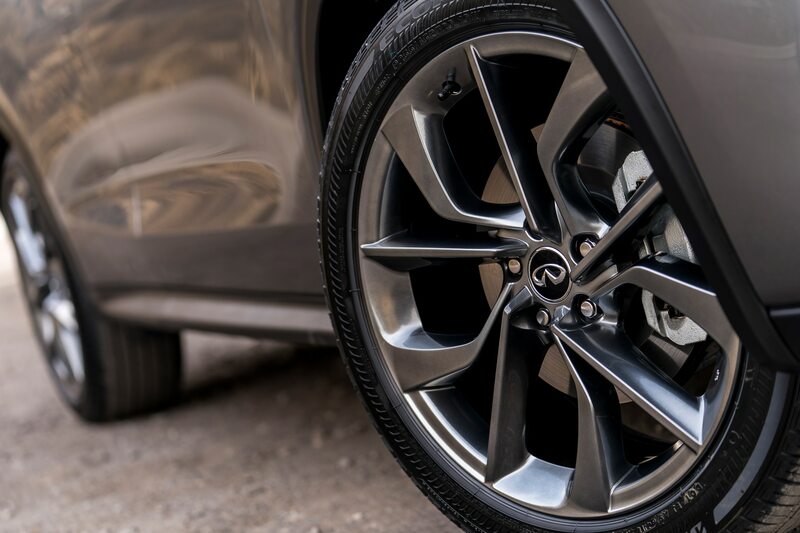 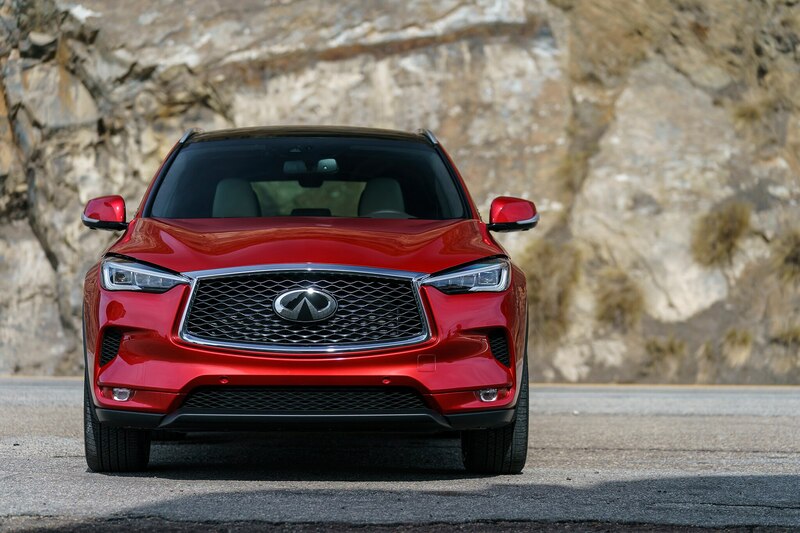 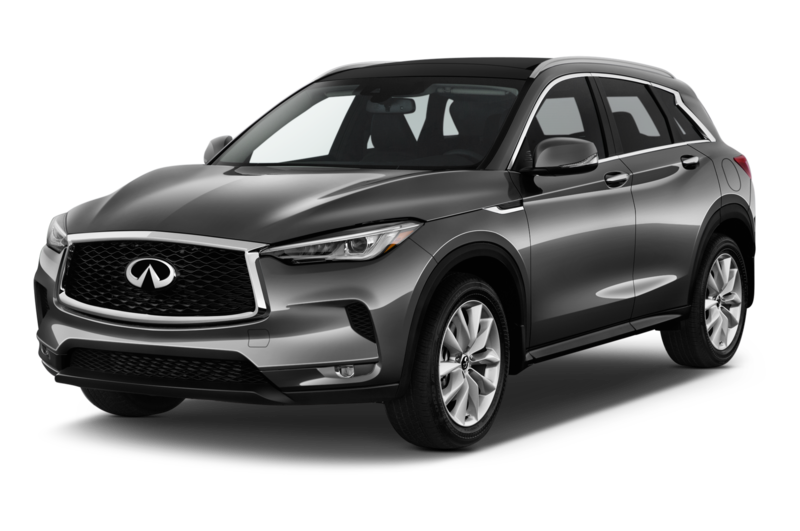 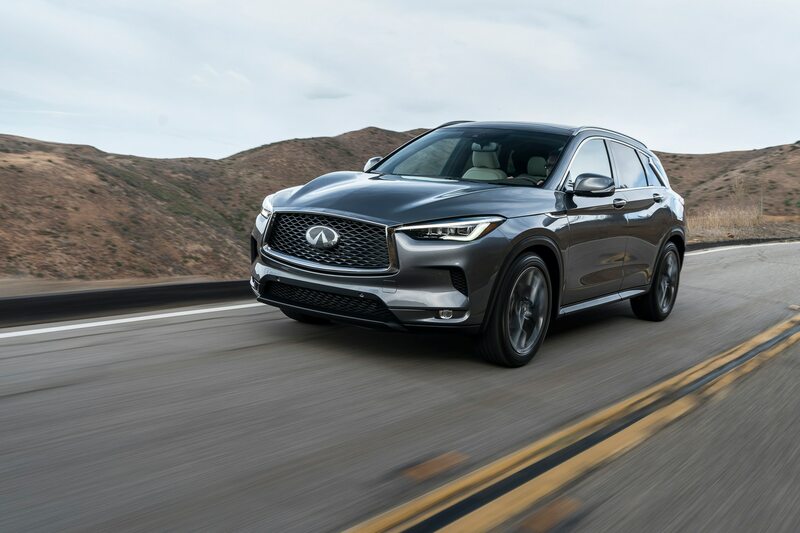 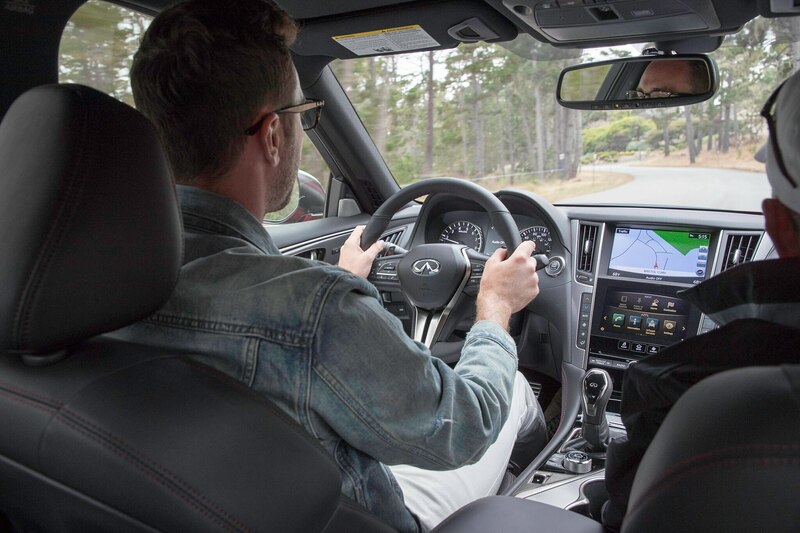 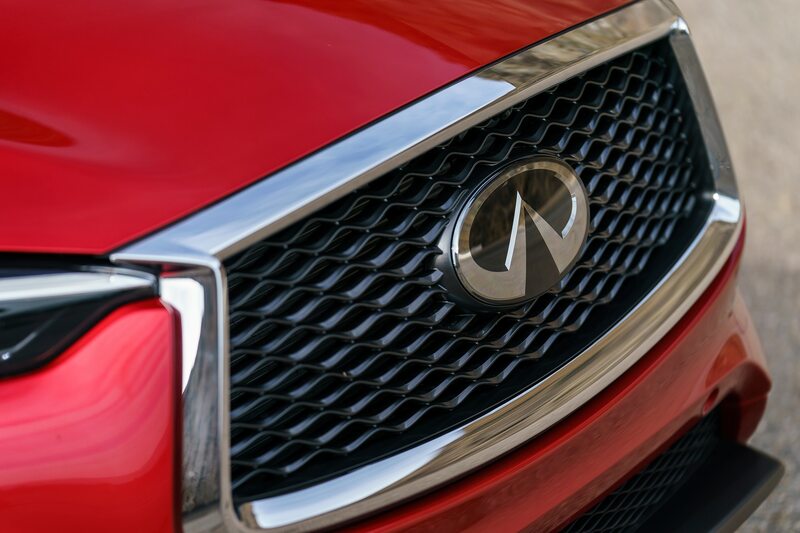 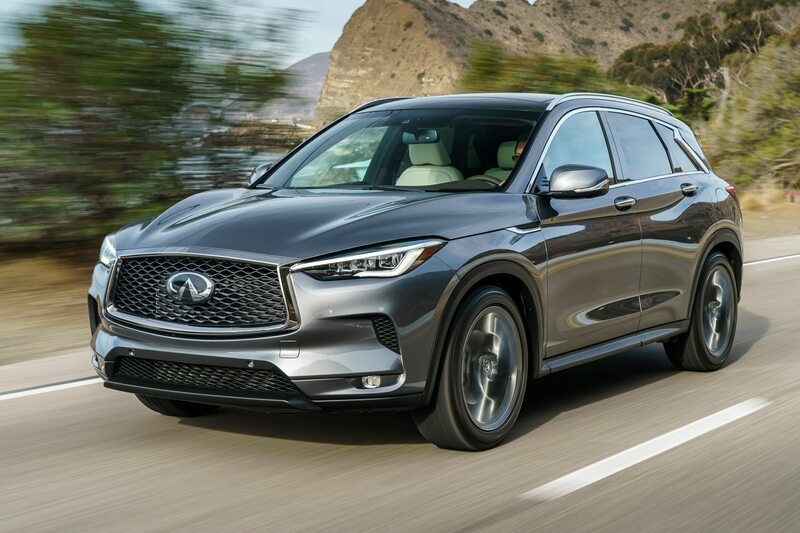 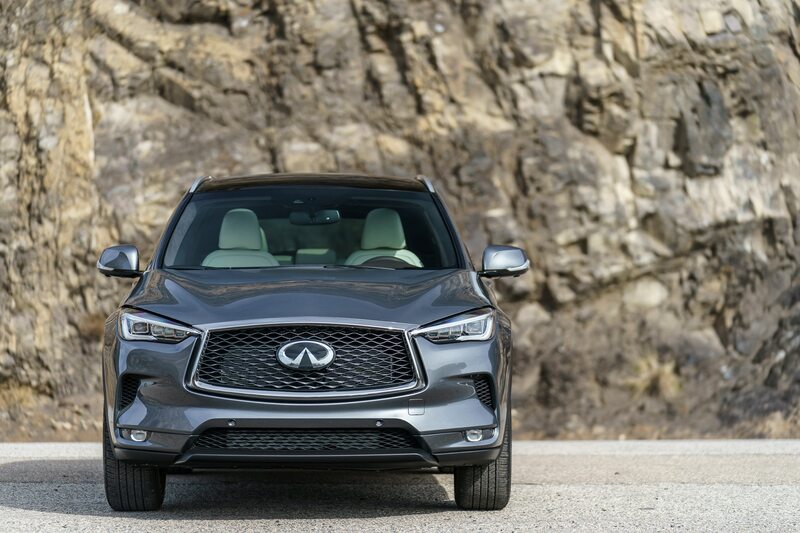 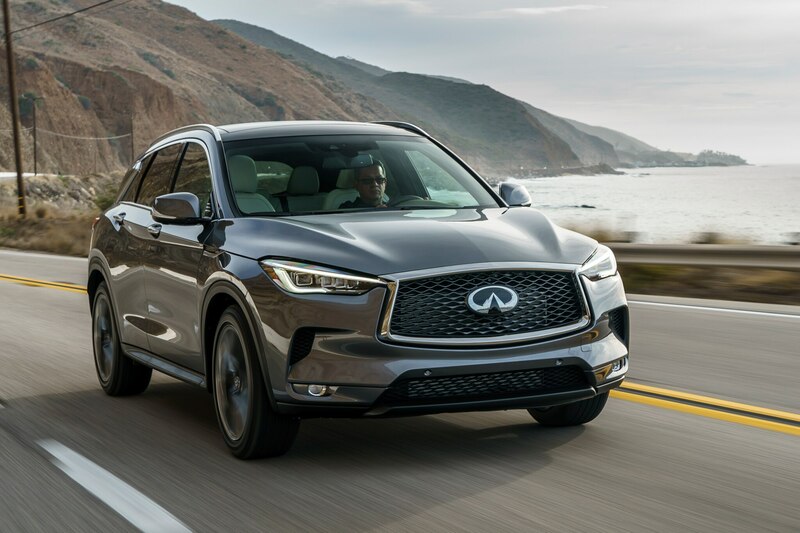 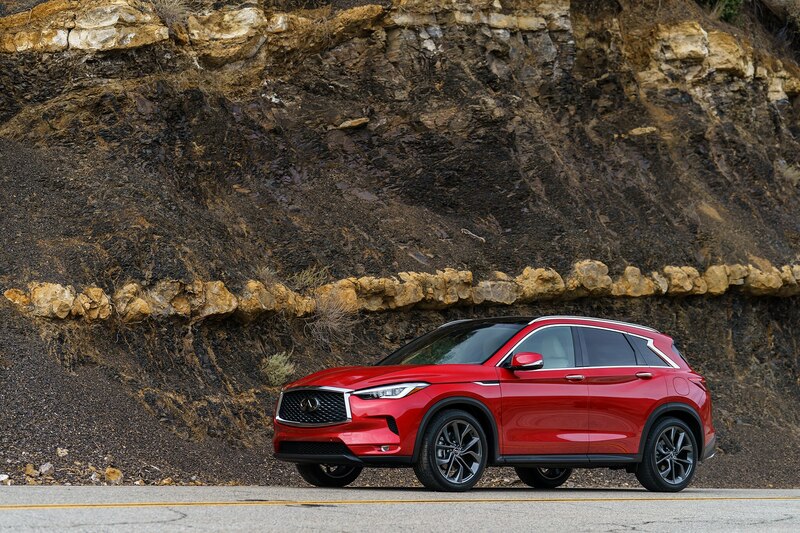 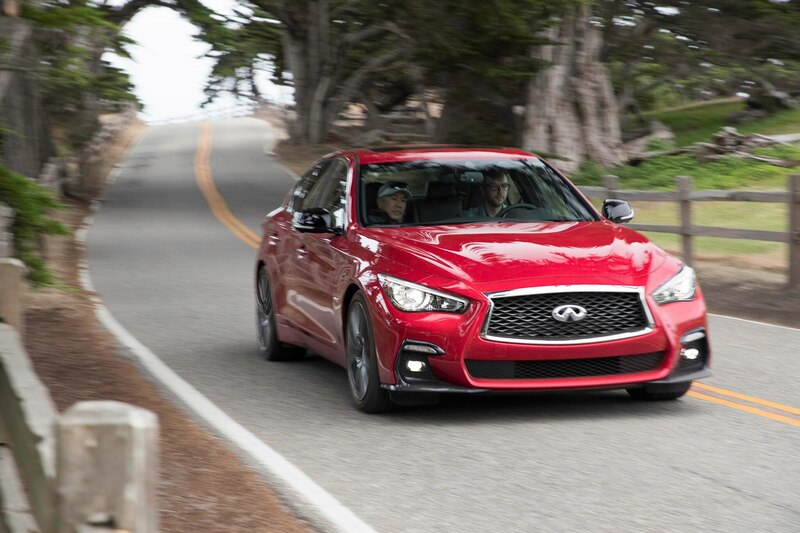 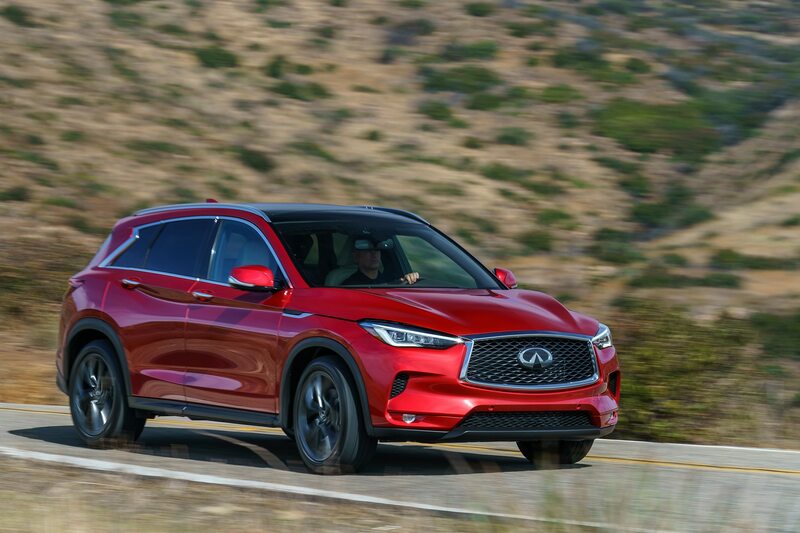 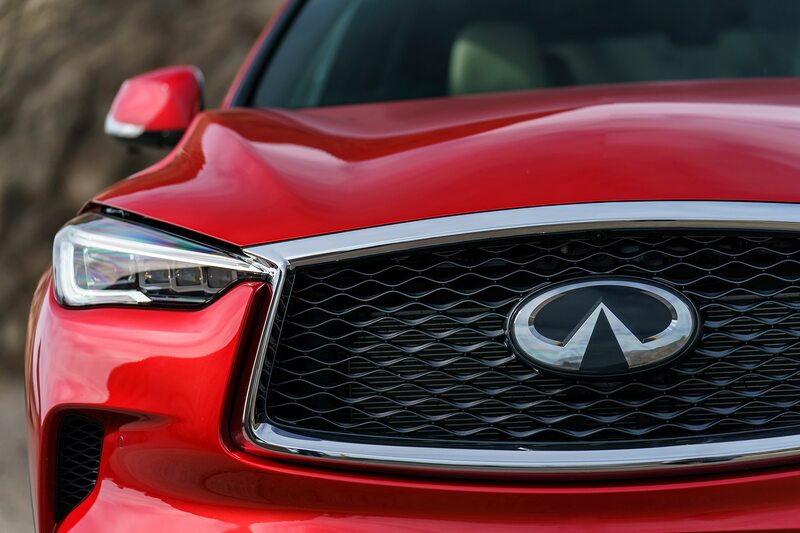 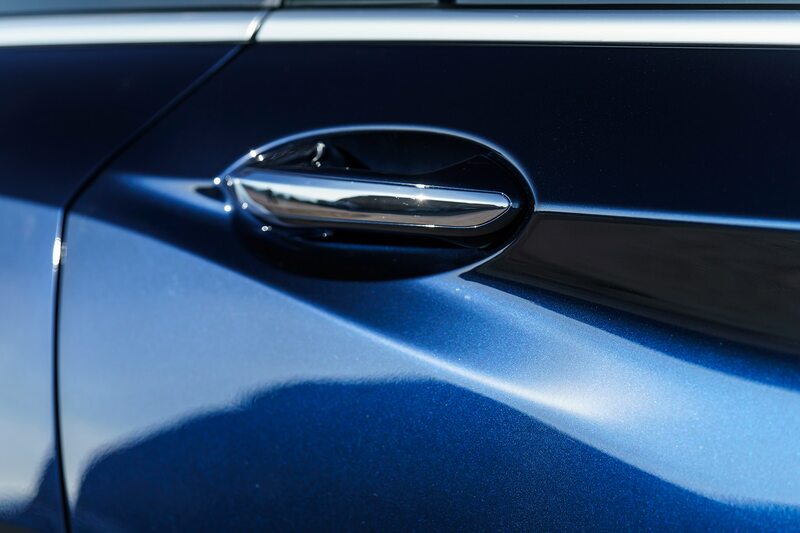 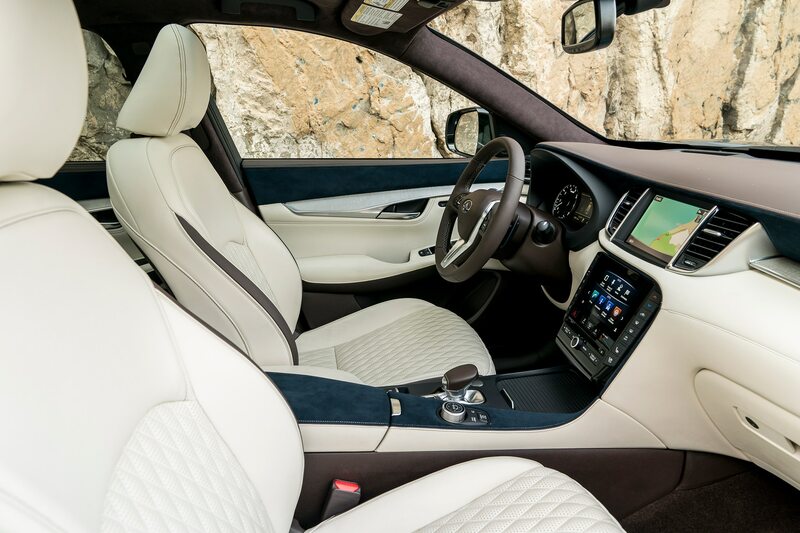 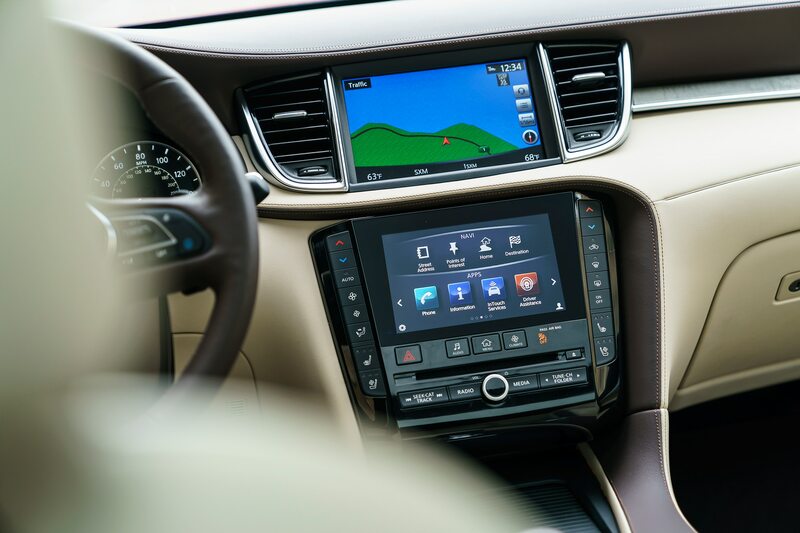 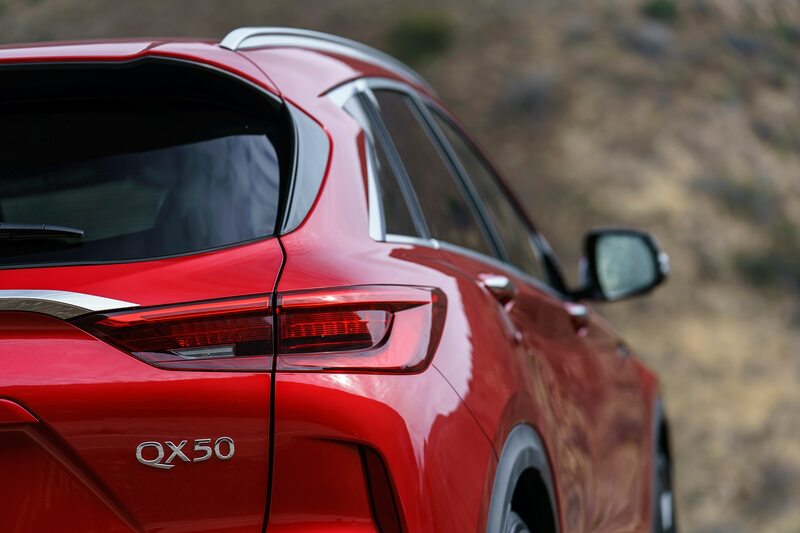 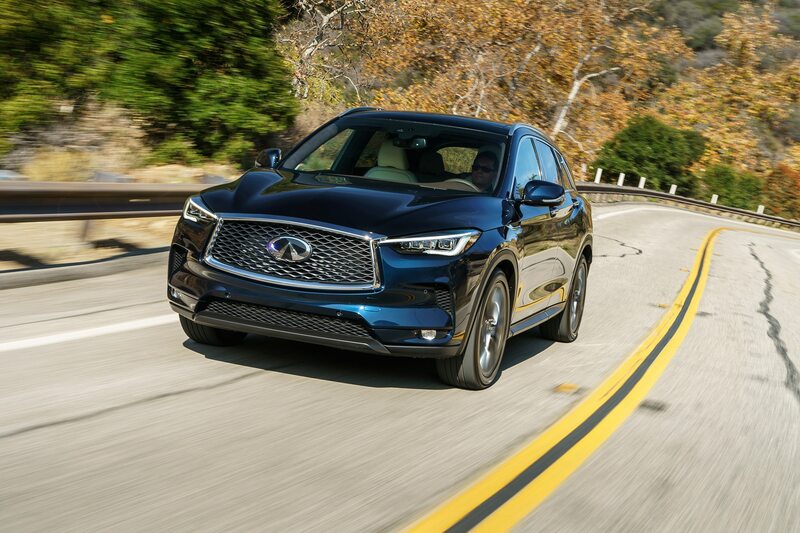 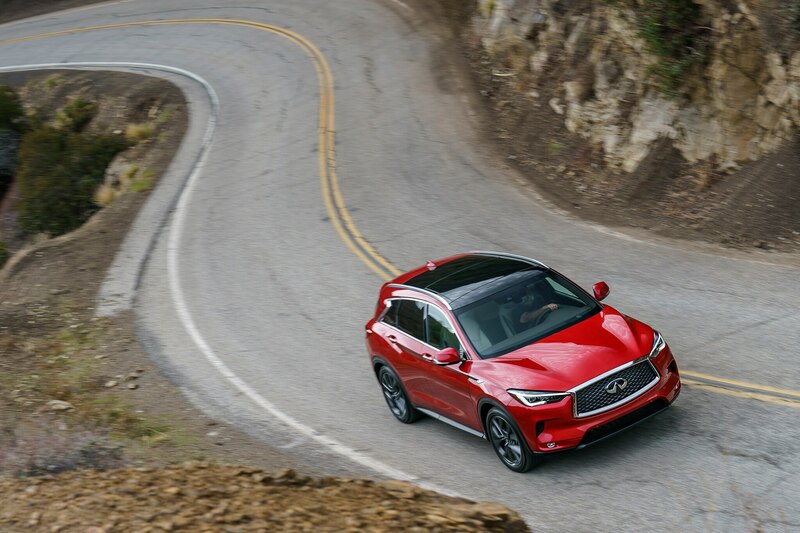 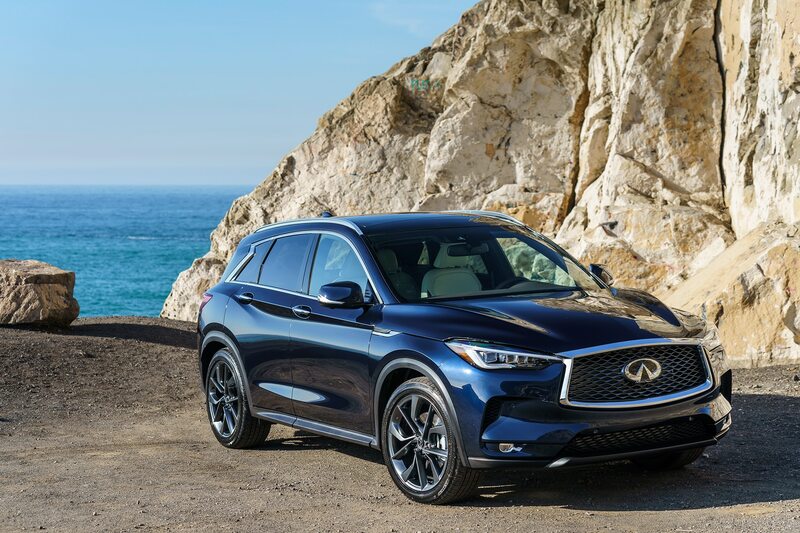 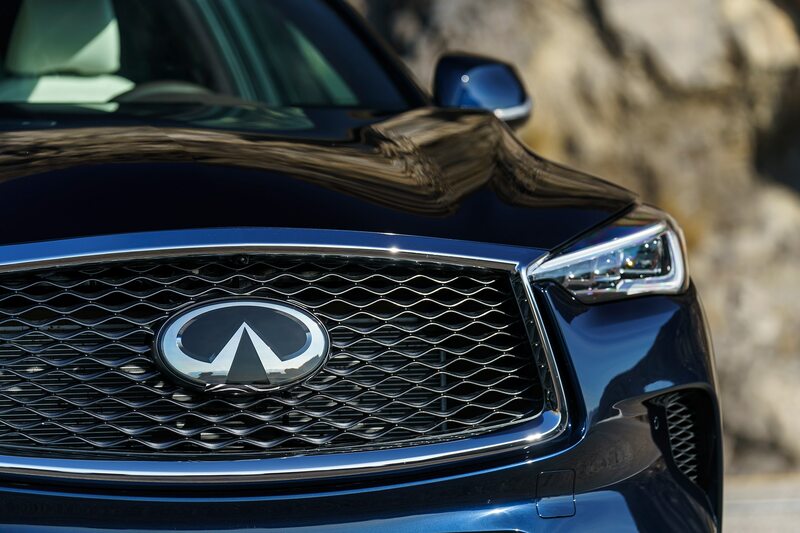 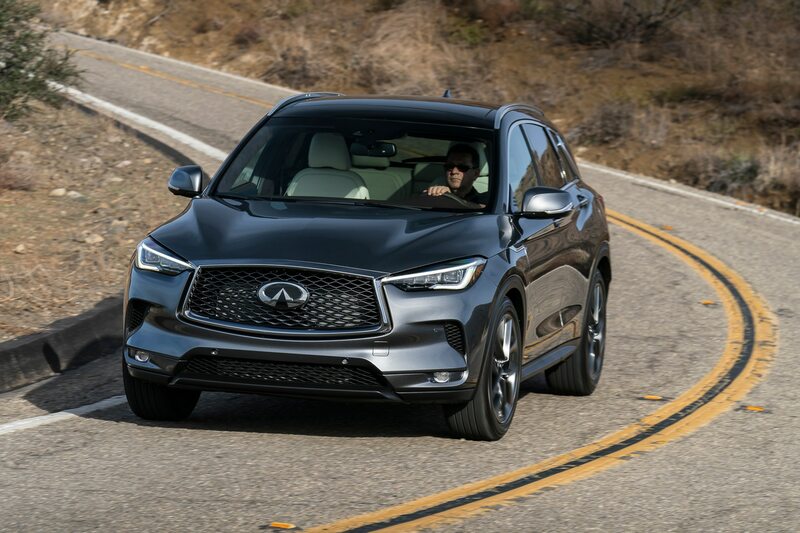 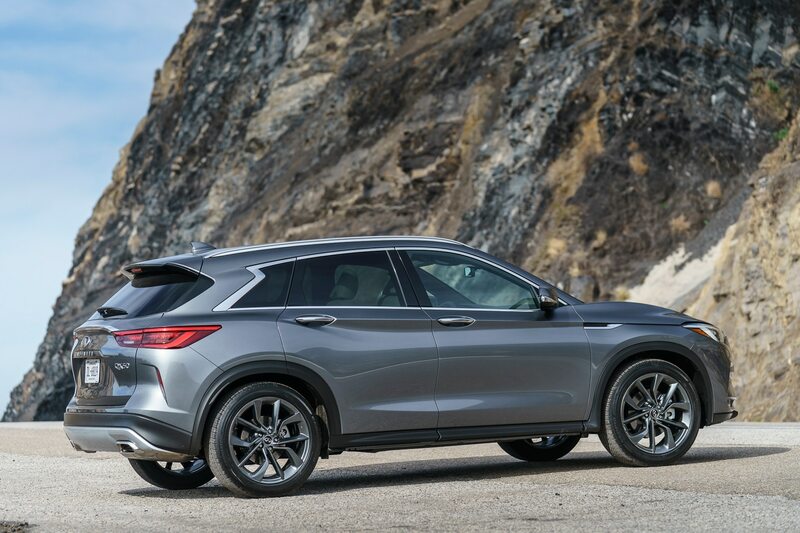 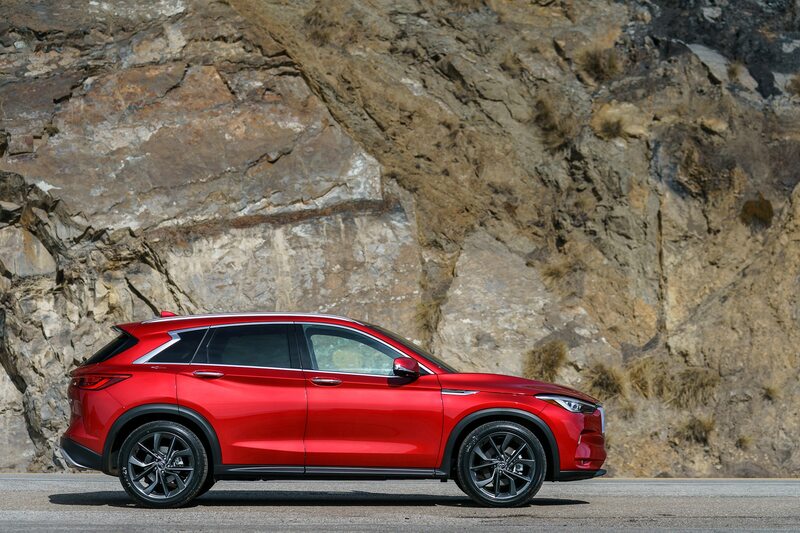 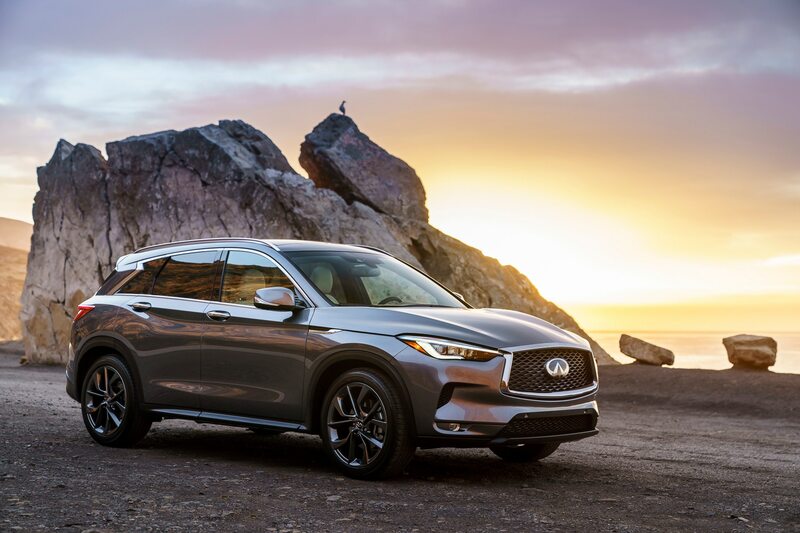 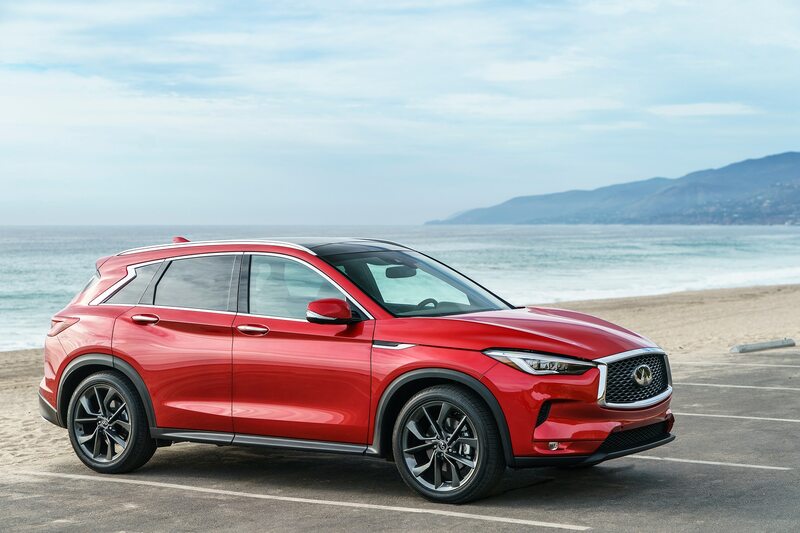 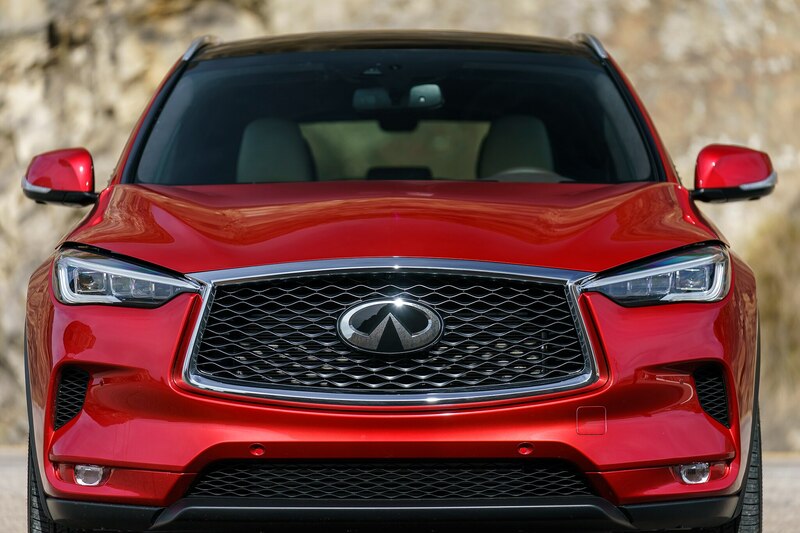 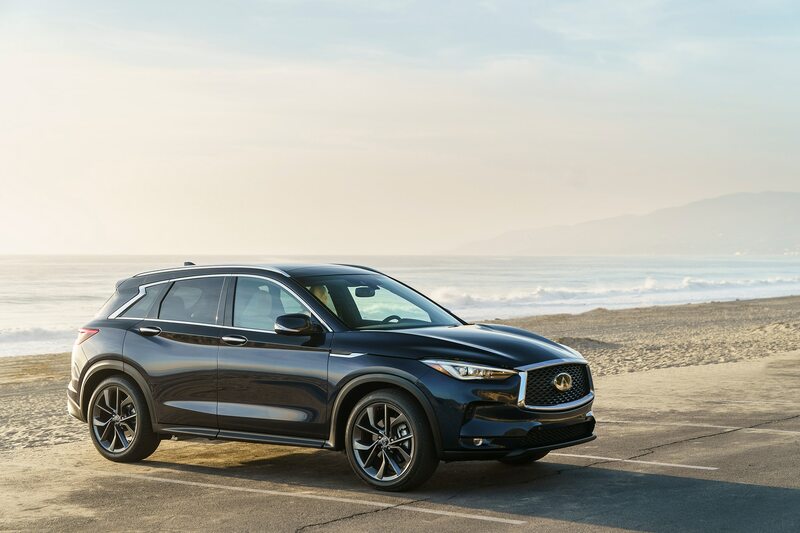 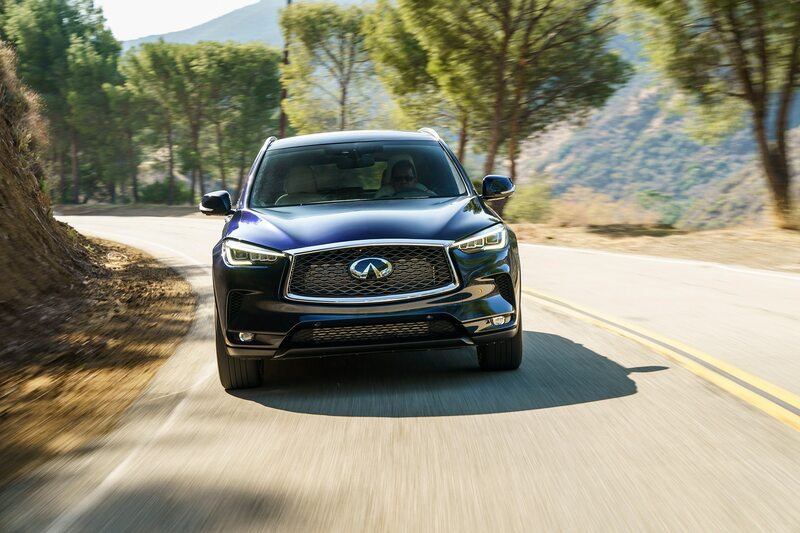 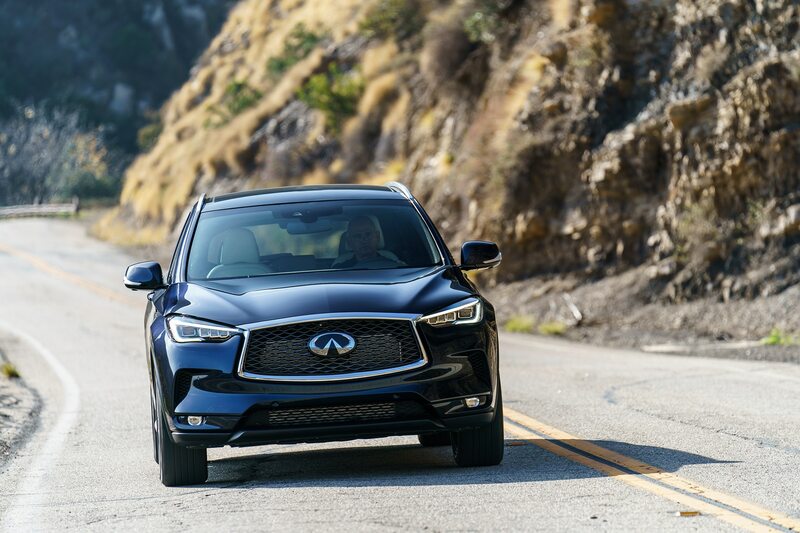 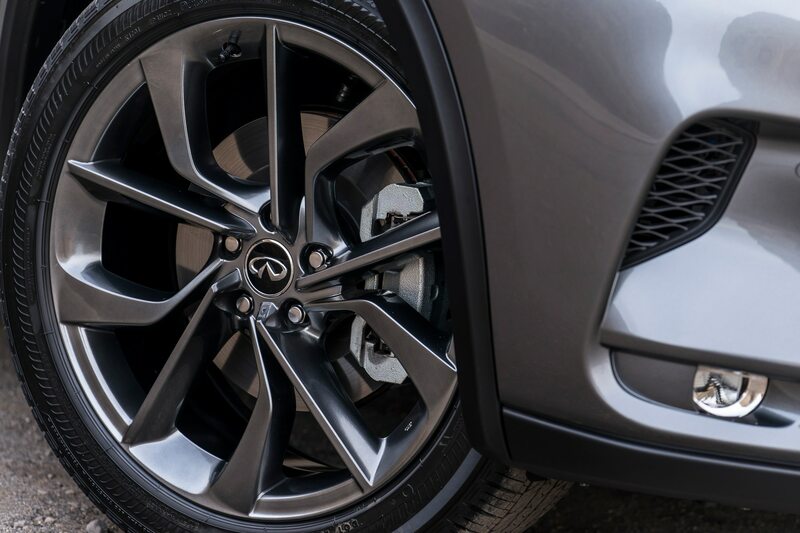 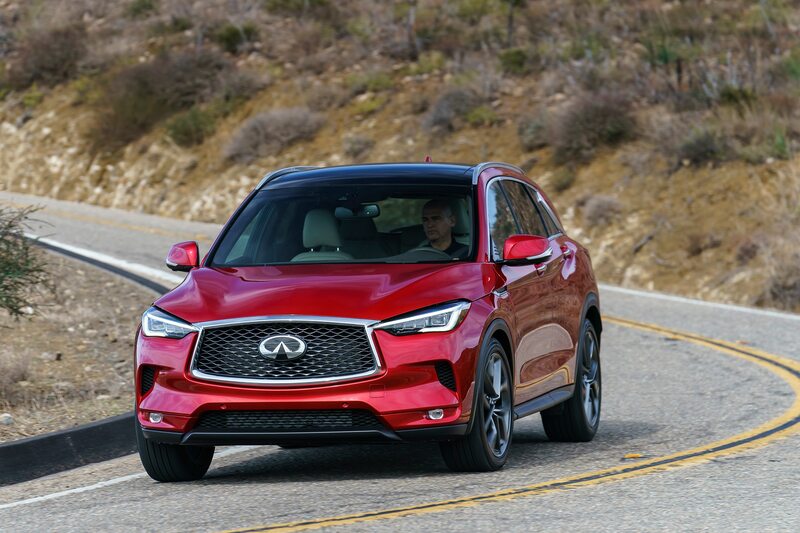 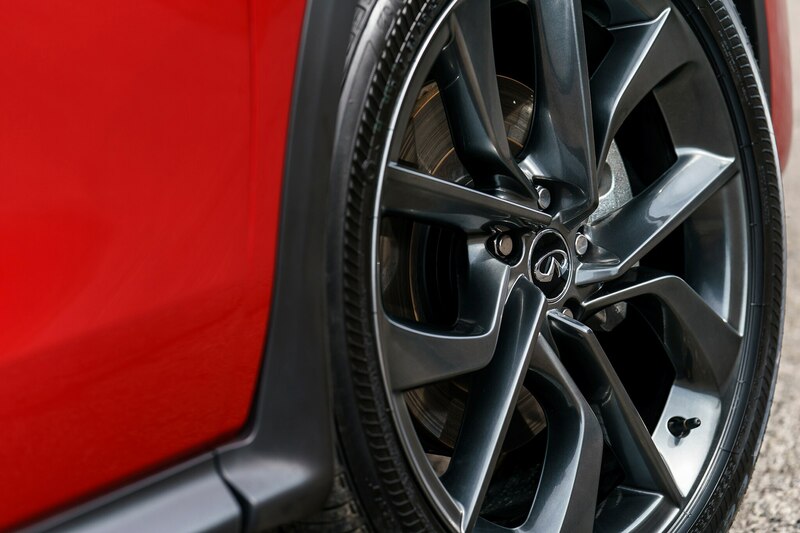 INFINITI invited guests to participate in a Ride & Drive with its full line of luxury vehicles—including the latest INFINITI Q50 sedan, Q60 coupe and QX80 Limited SUV—through the Monterey Peninsula’s lush Del Monte Forest and iconic 17-Mile Drive. 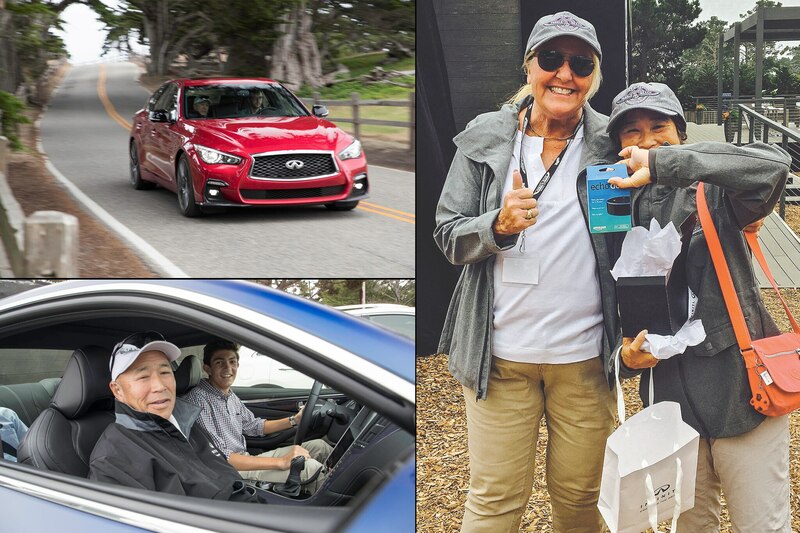 A young fan enjoying his luxury drive during the INFINITI Ride and Drive. 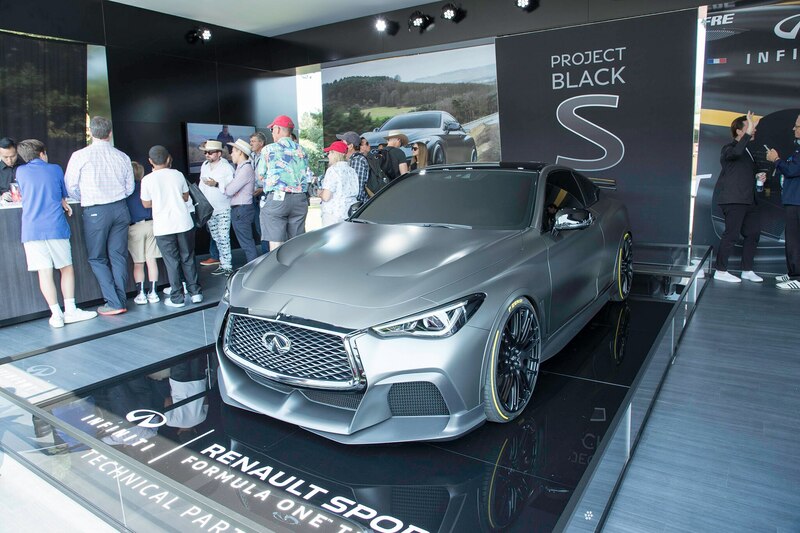 Soul of the Machine: the pièce de résistance of the Concours d’Elegance was the INFINITI Soul of the Machine virtual reality experience. 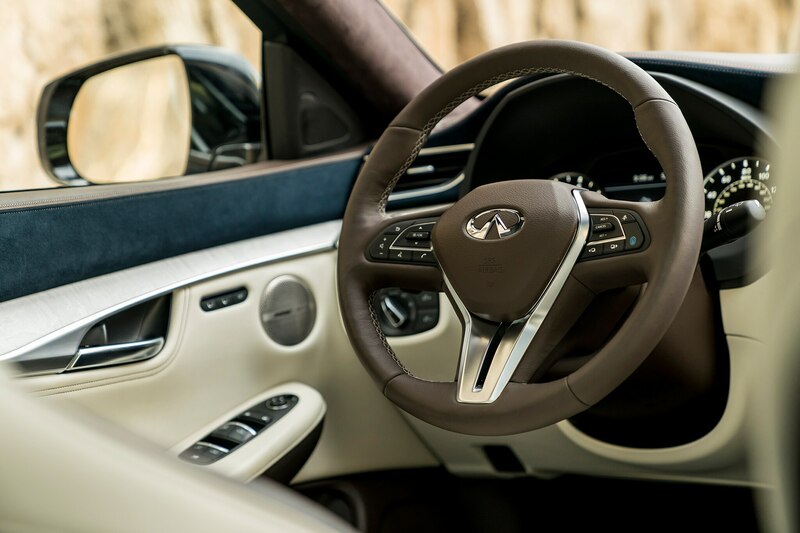 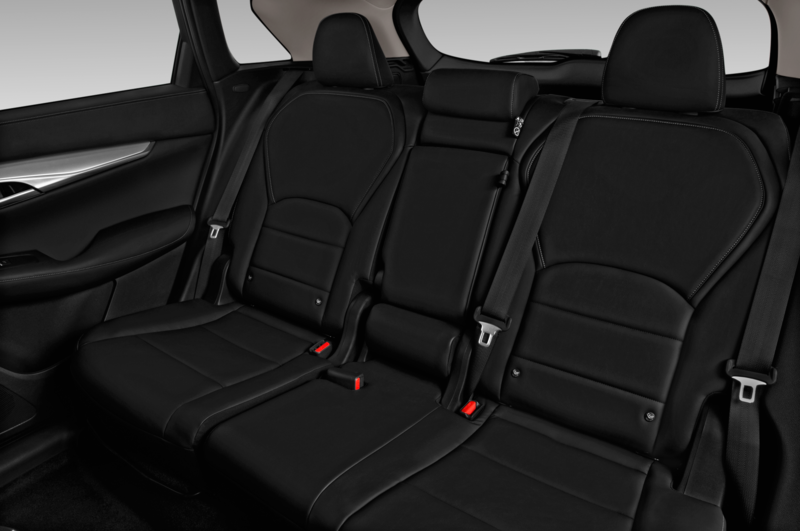 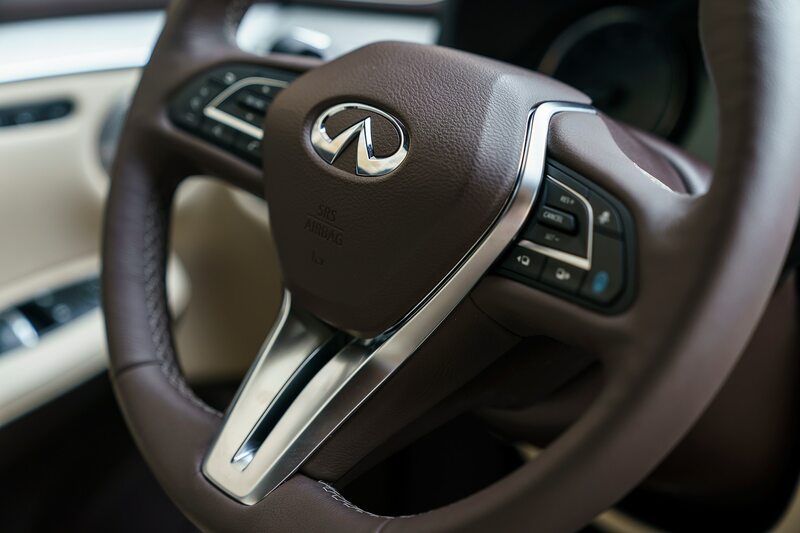 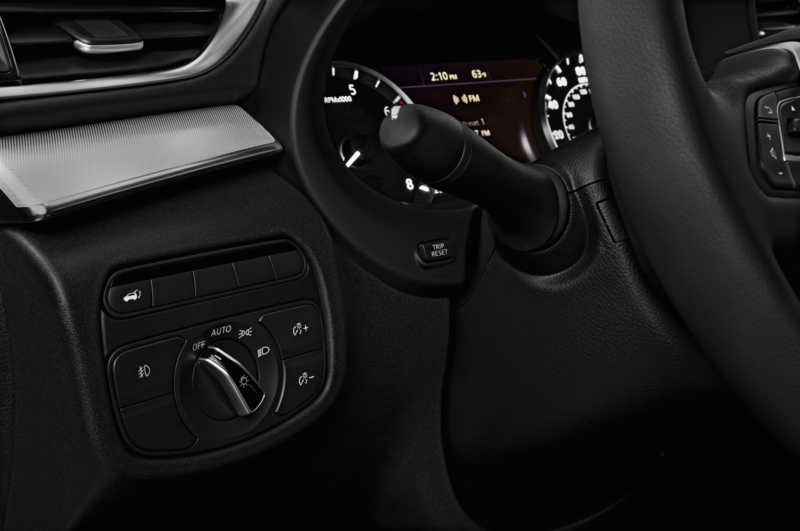 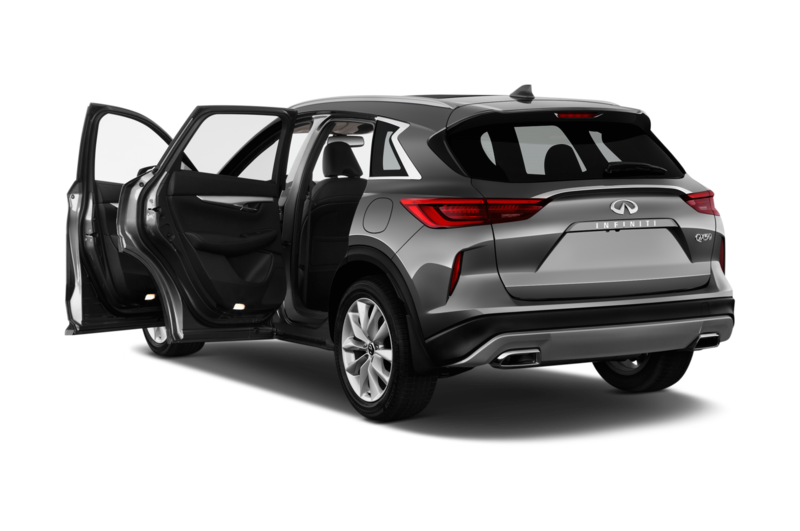 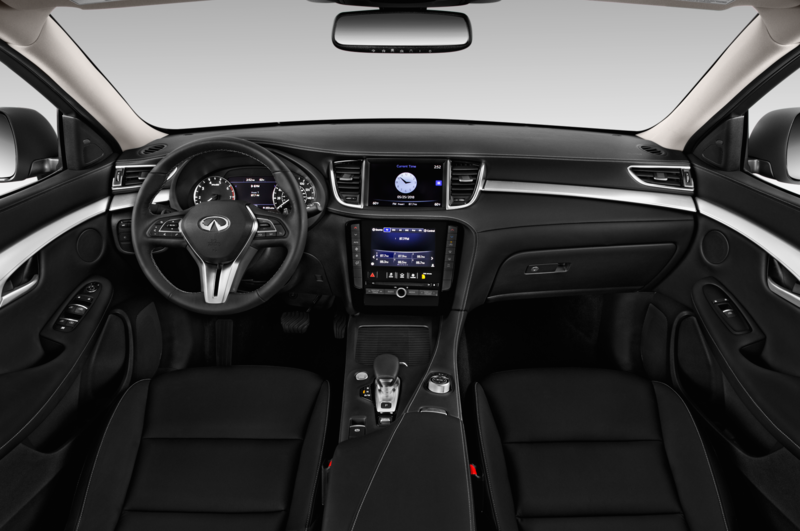 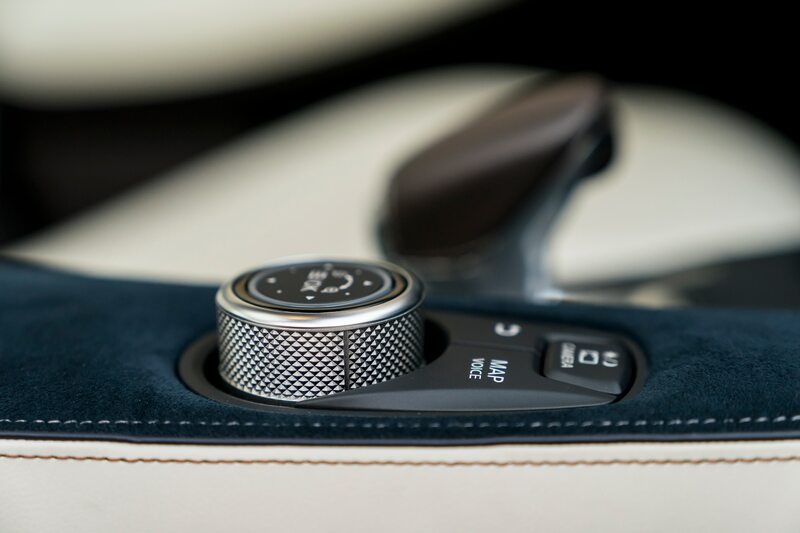 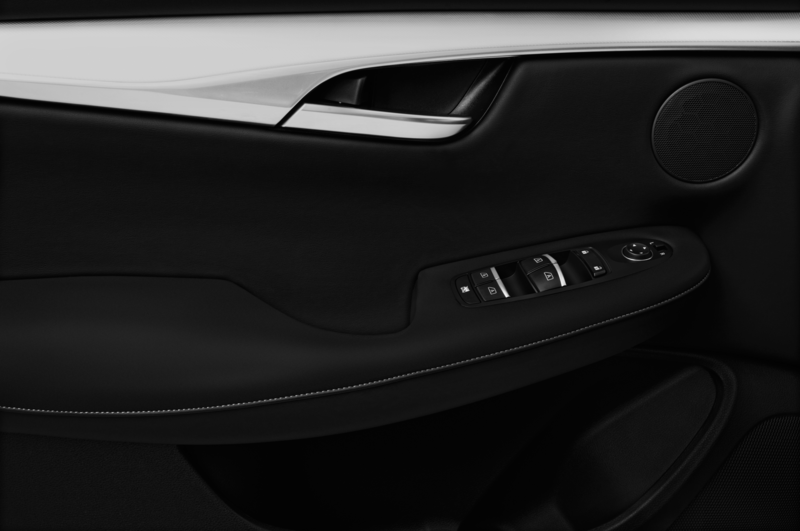 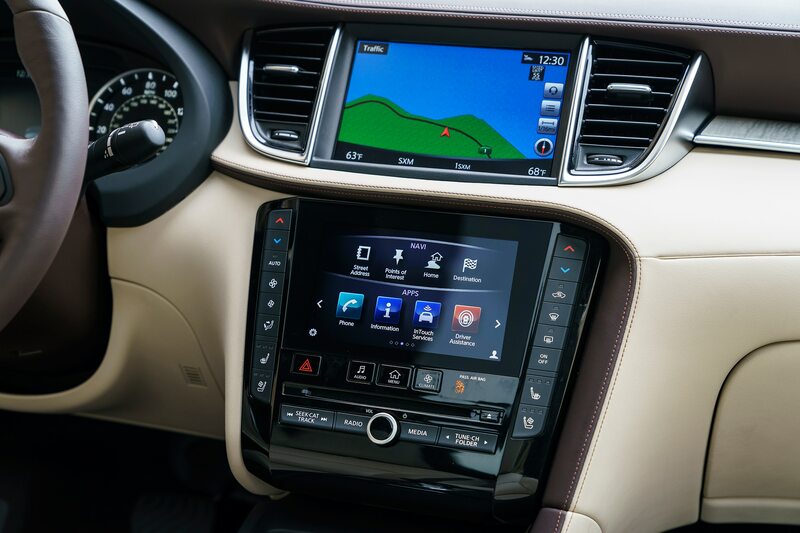 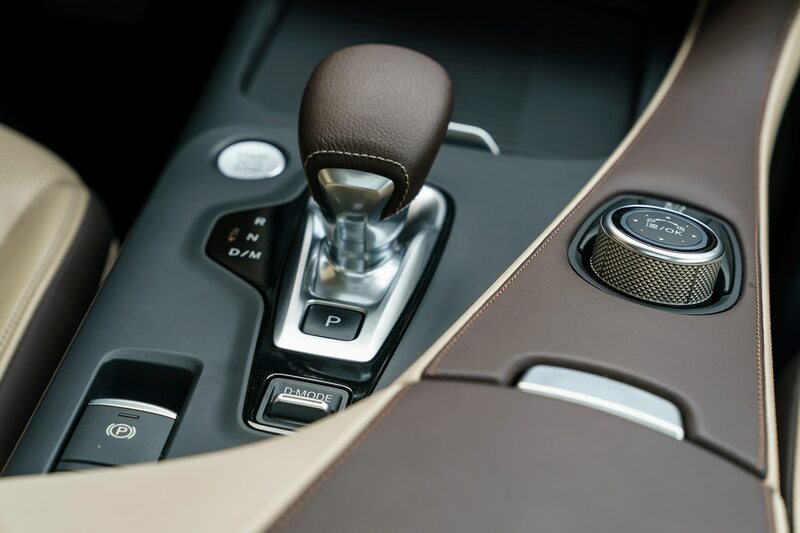 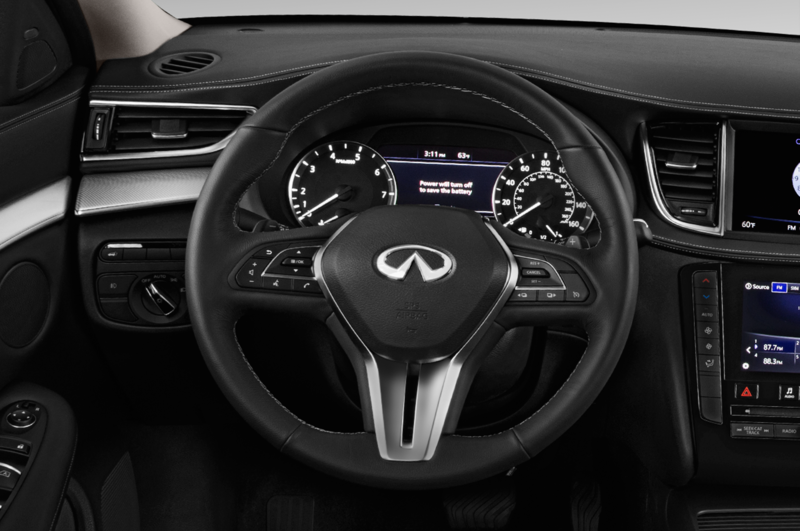 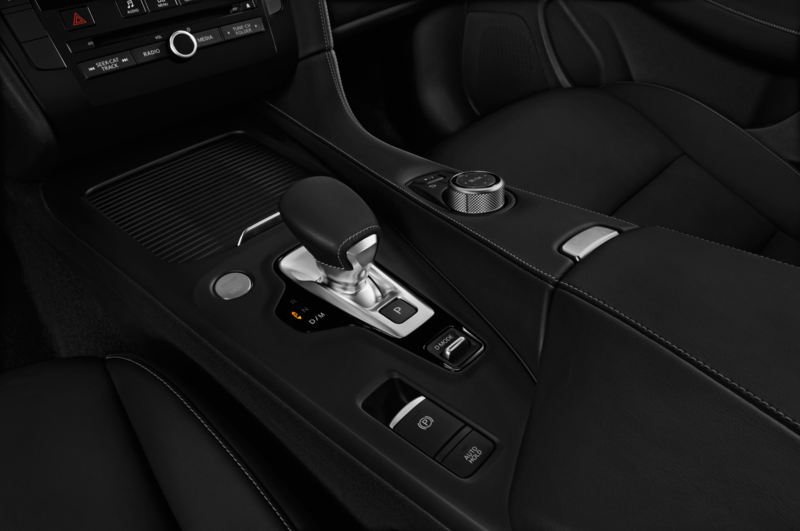 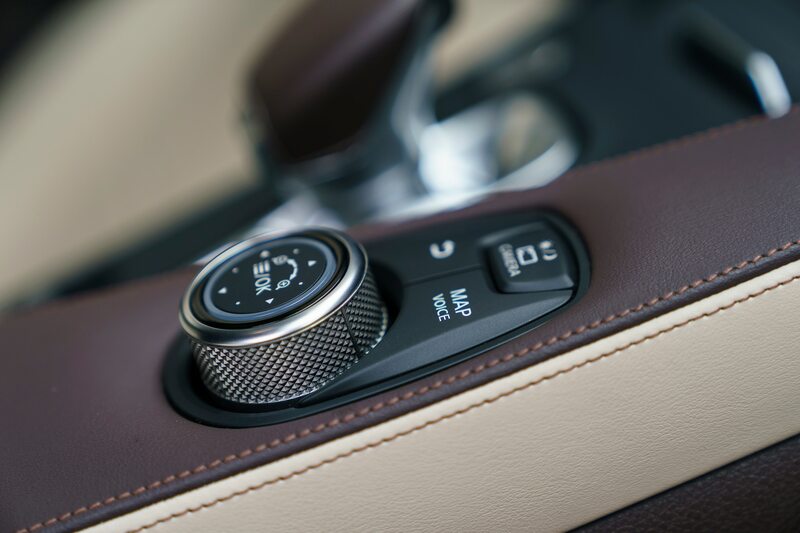 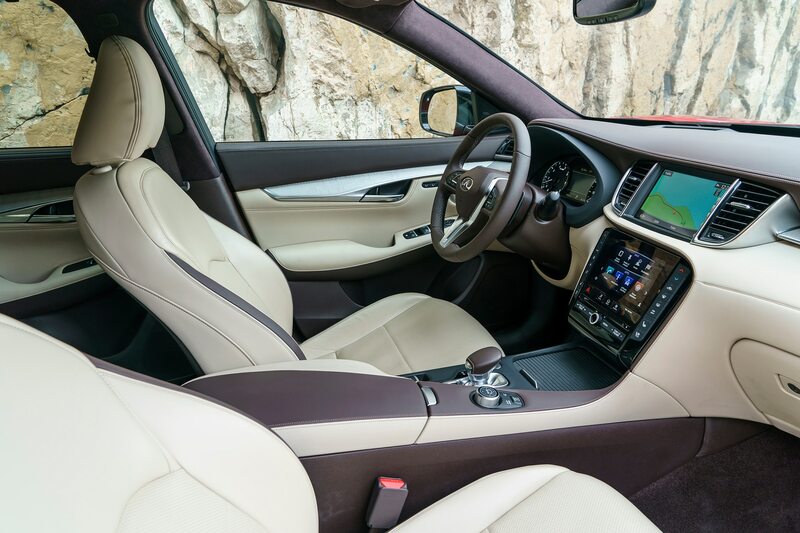 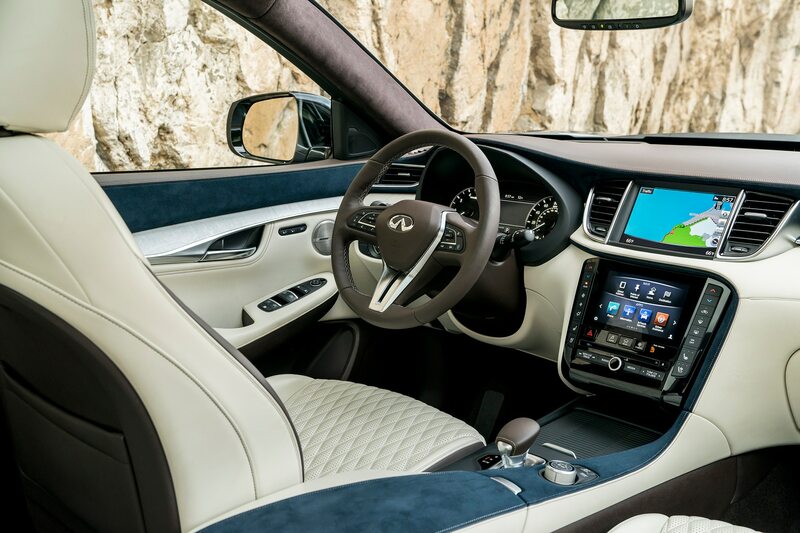 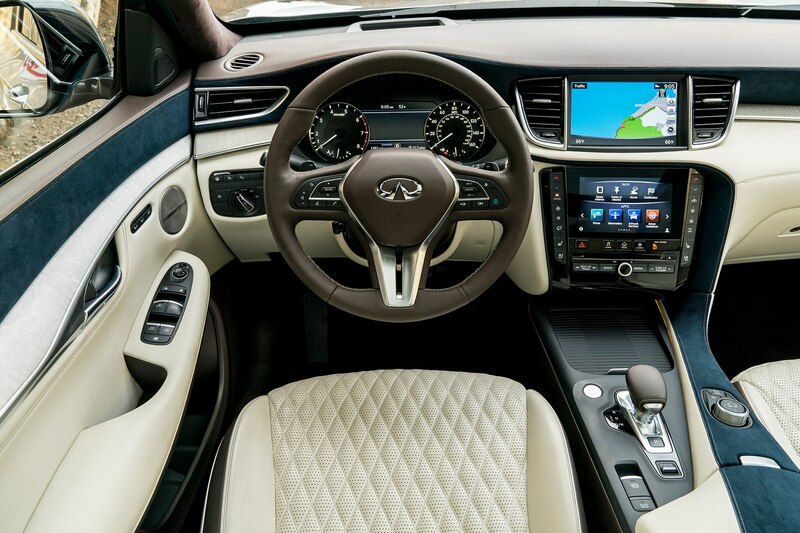 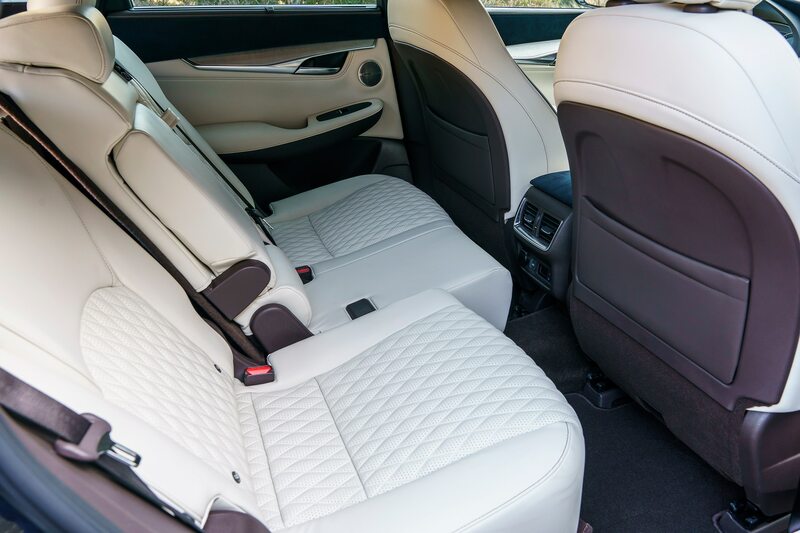 Guests were invited to sit back in an authentic INFINITI driver’s seat then fitted with VR goggles and headphones and guided through an immersive experience of the all-new QX50 Concept premium crossover. 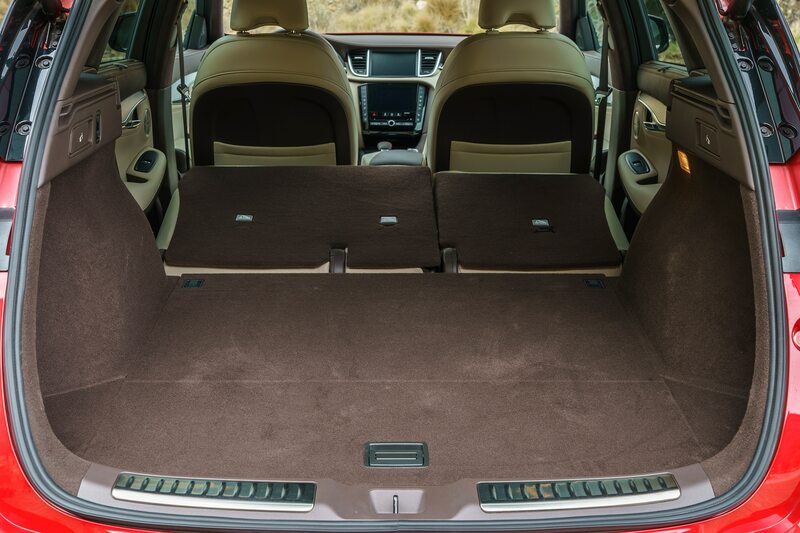 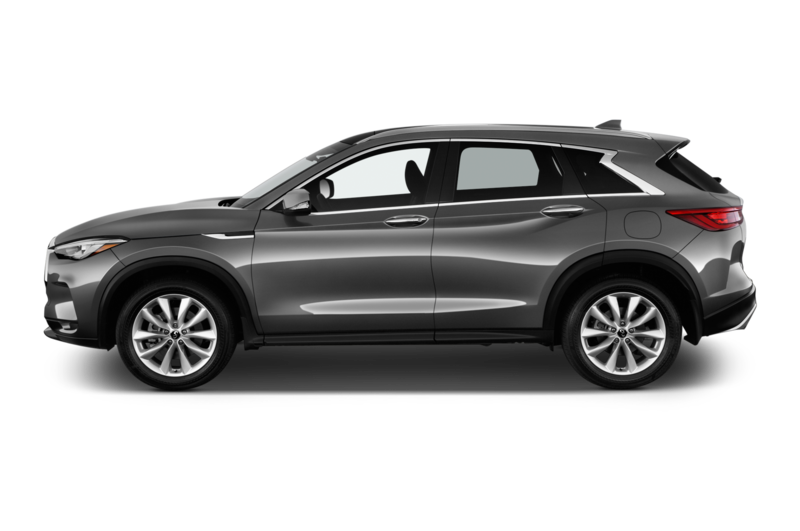 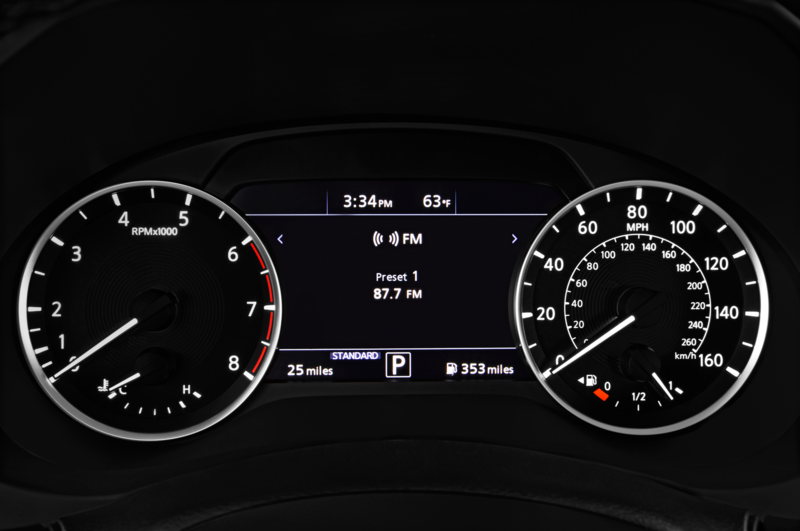 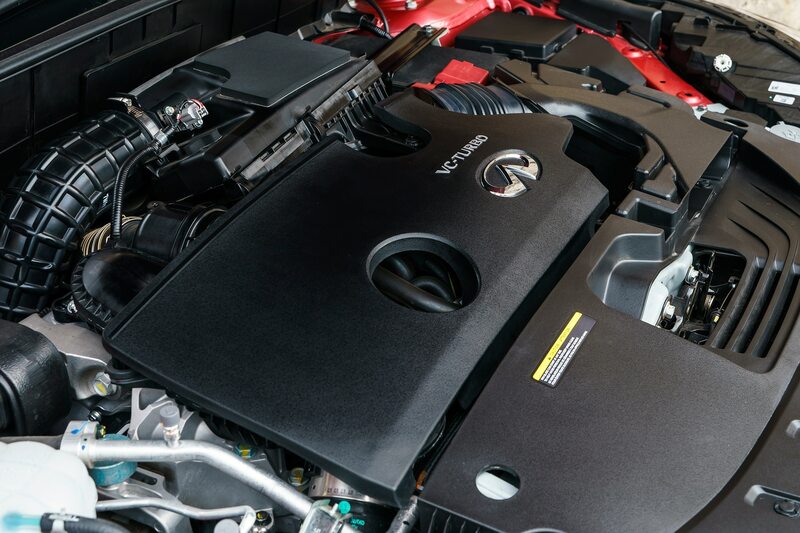 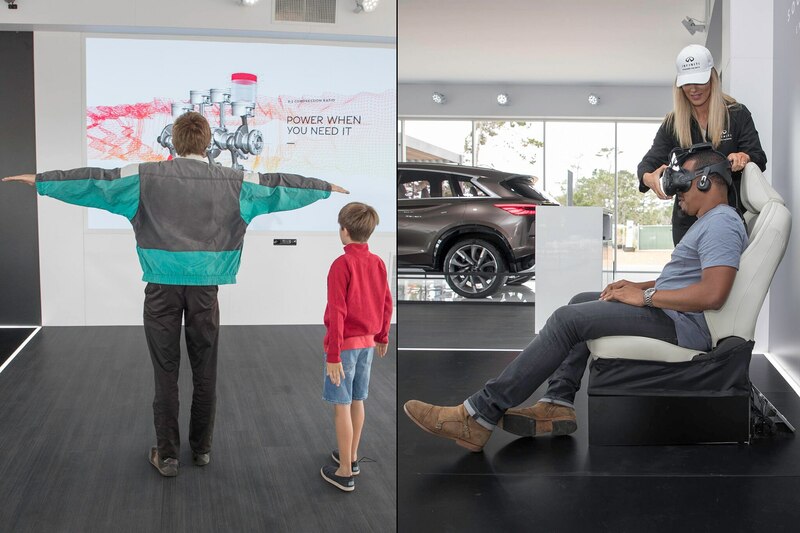 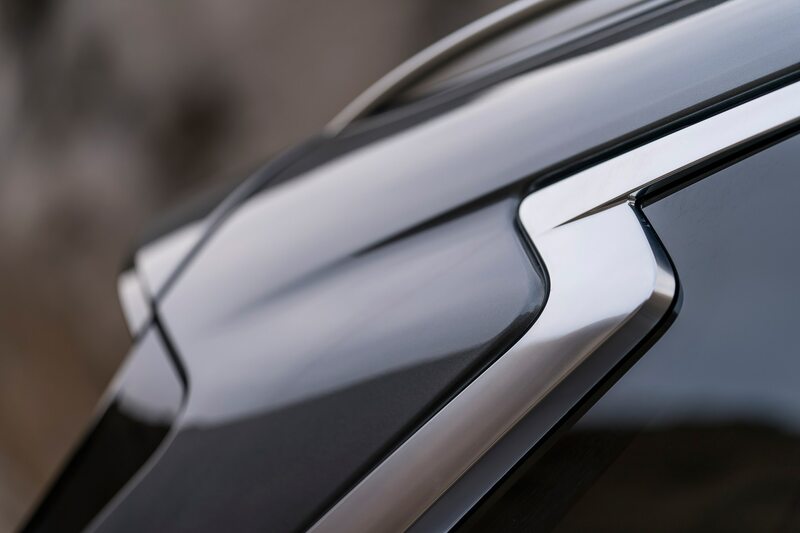 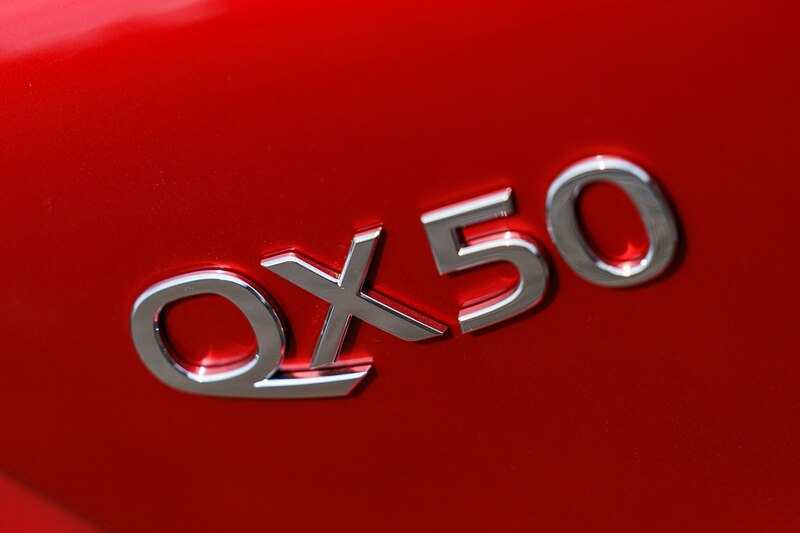 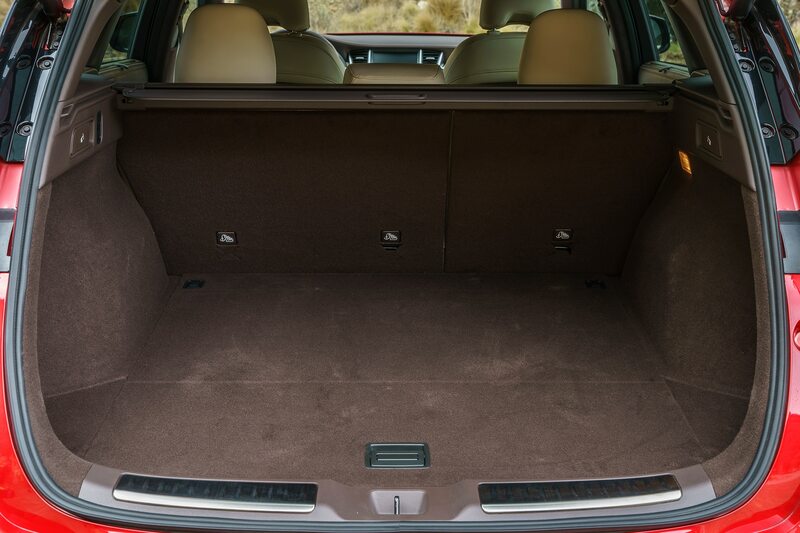 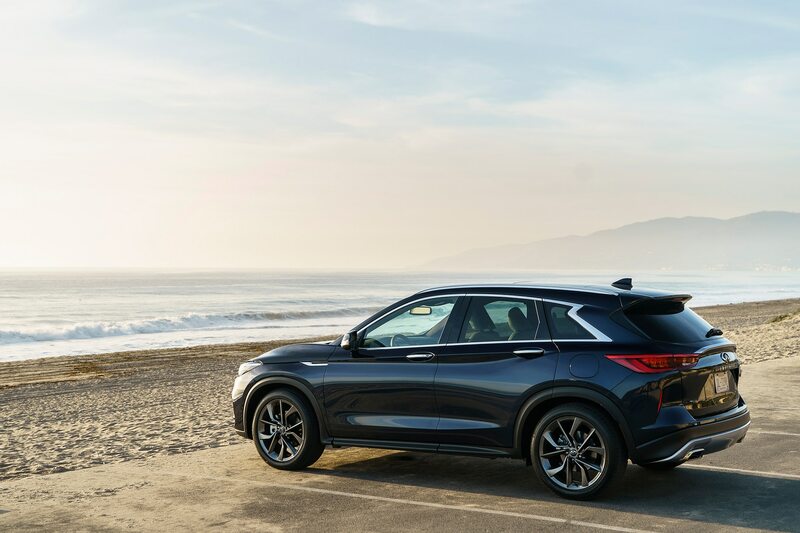 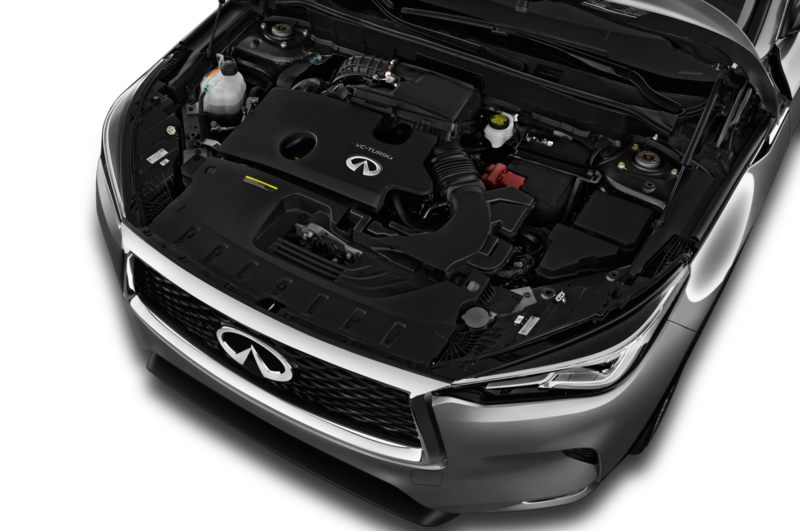 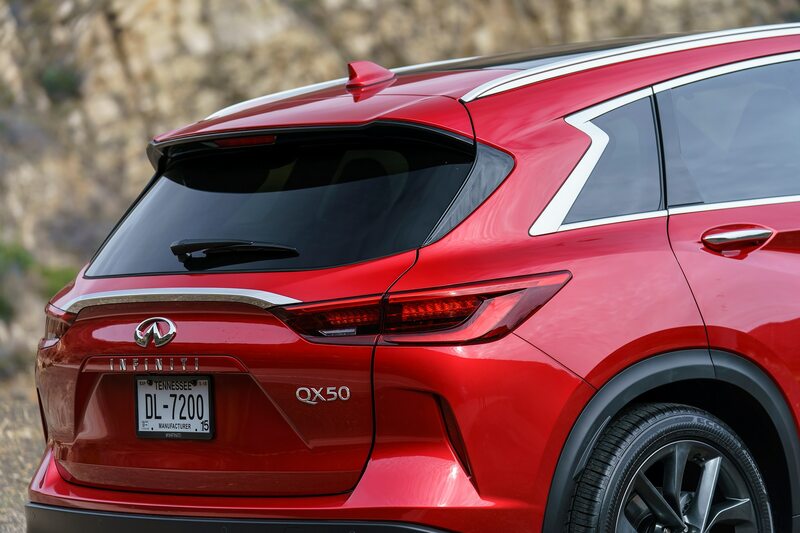 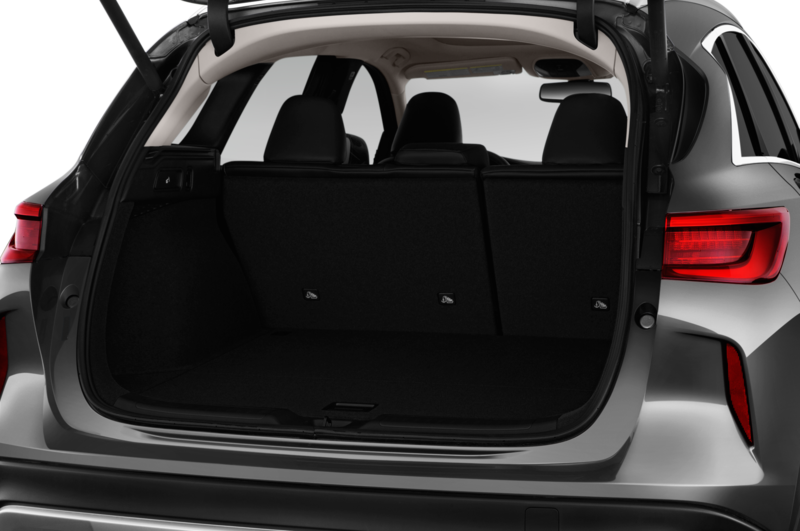 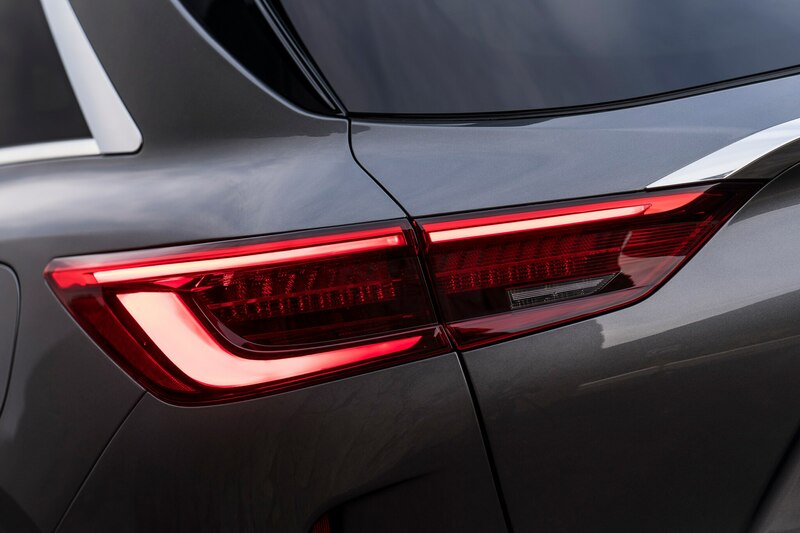 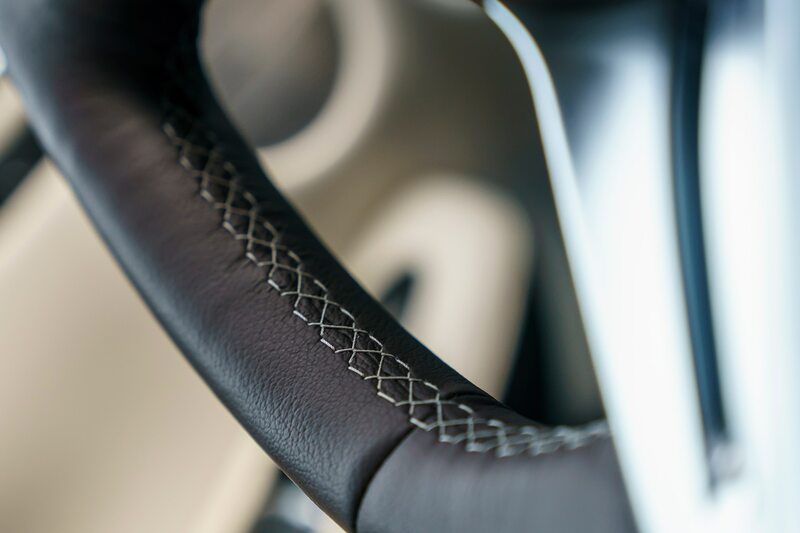 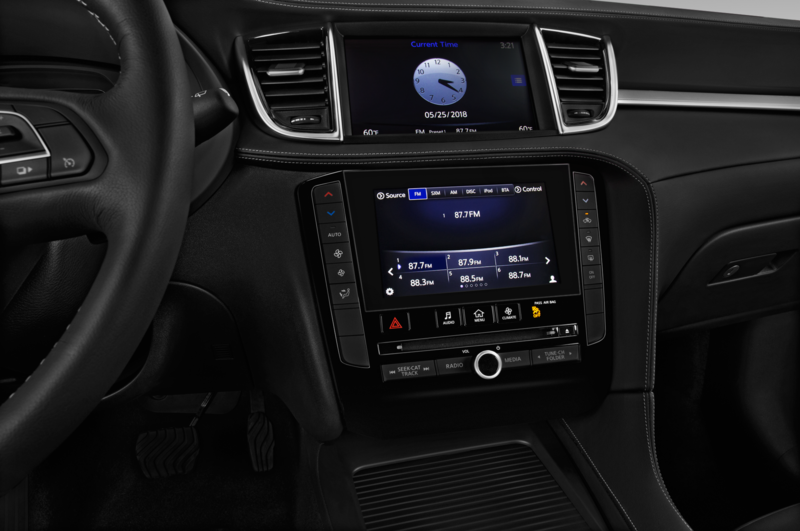 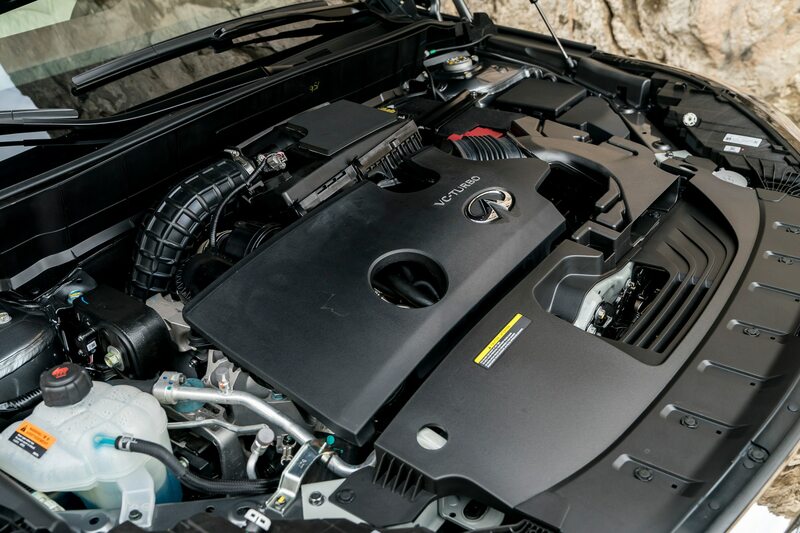 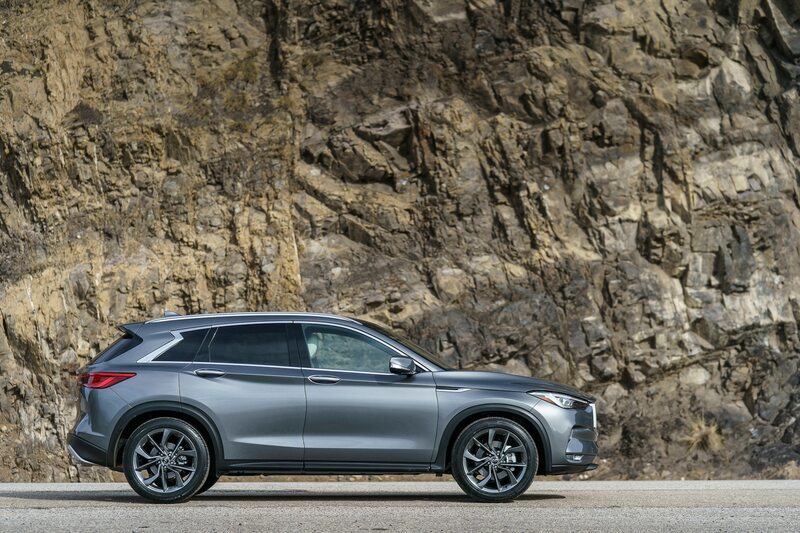 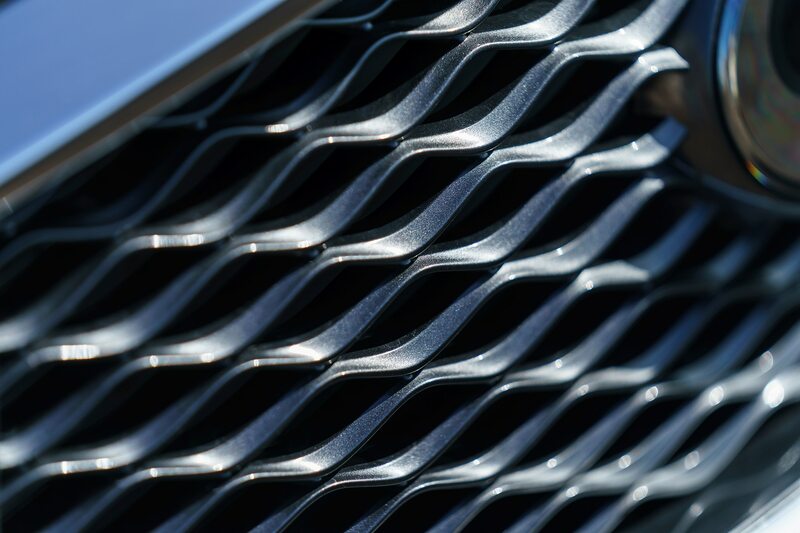 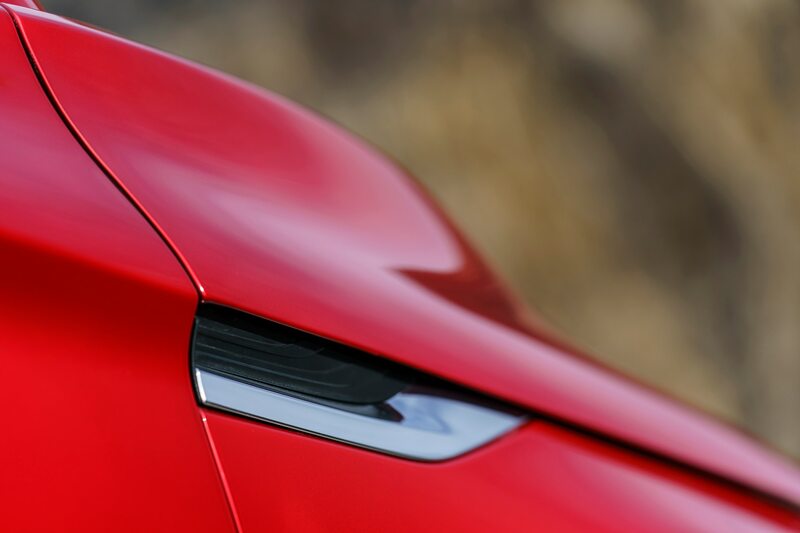 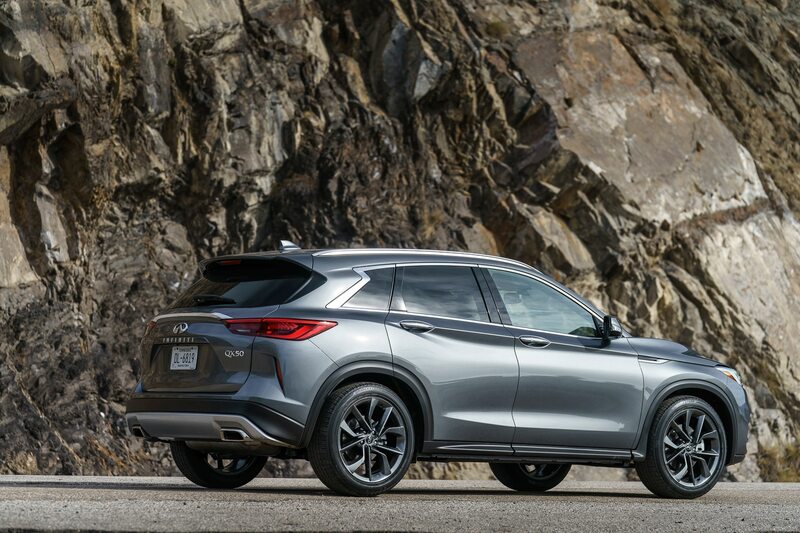 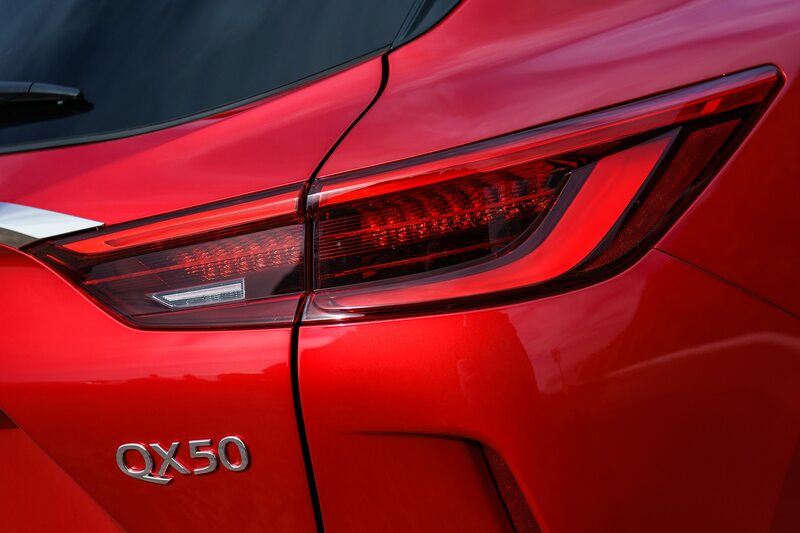 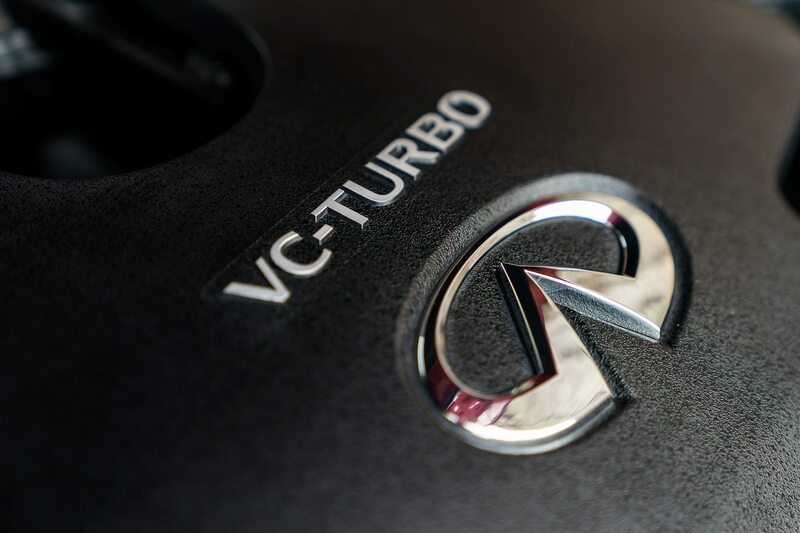 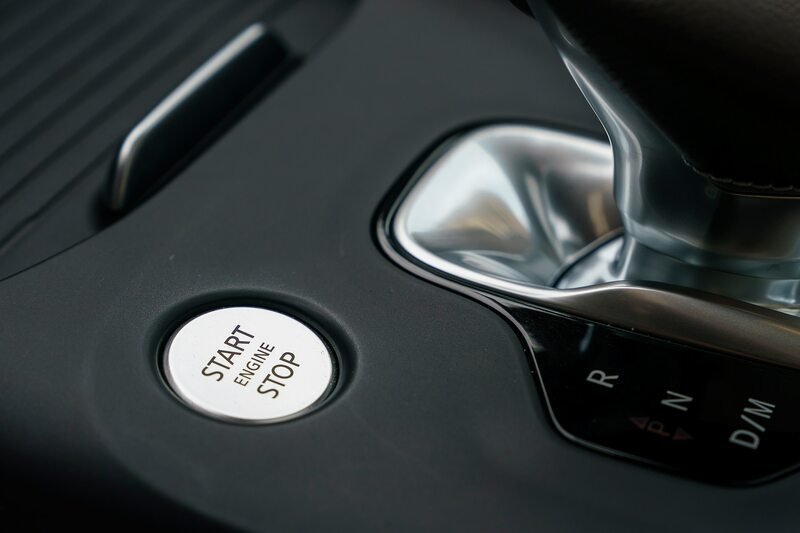 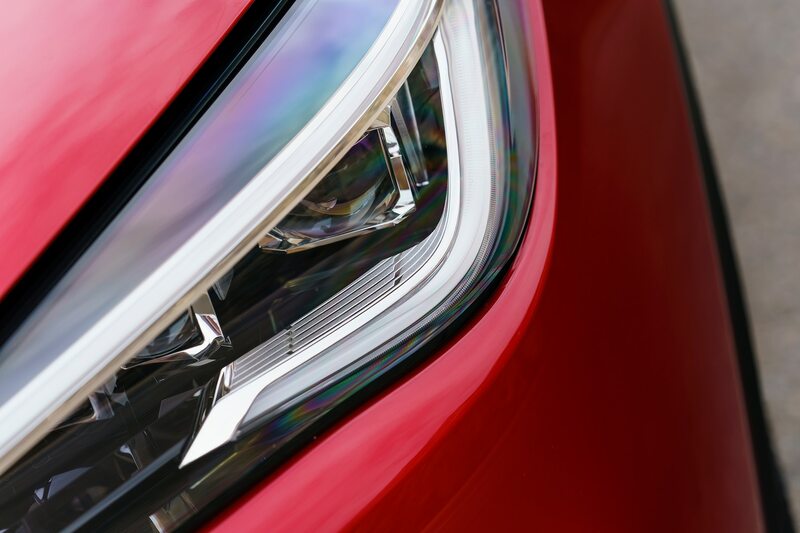 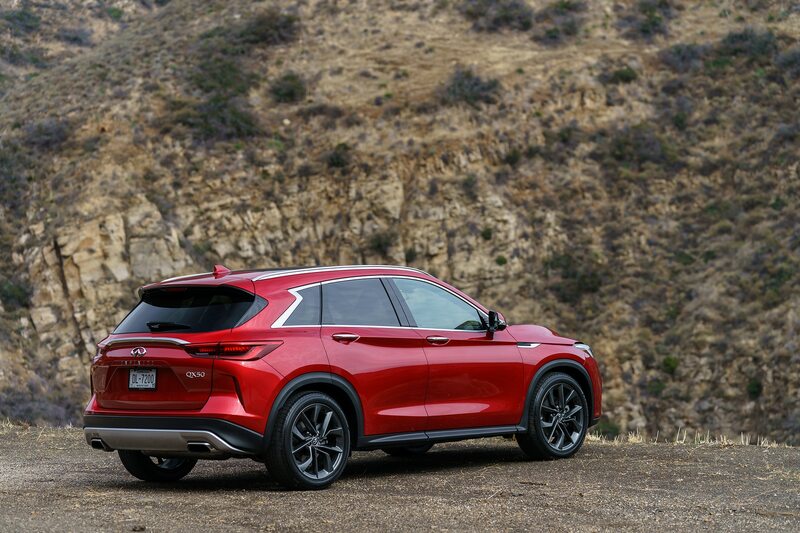 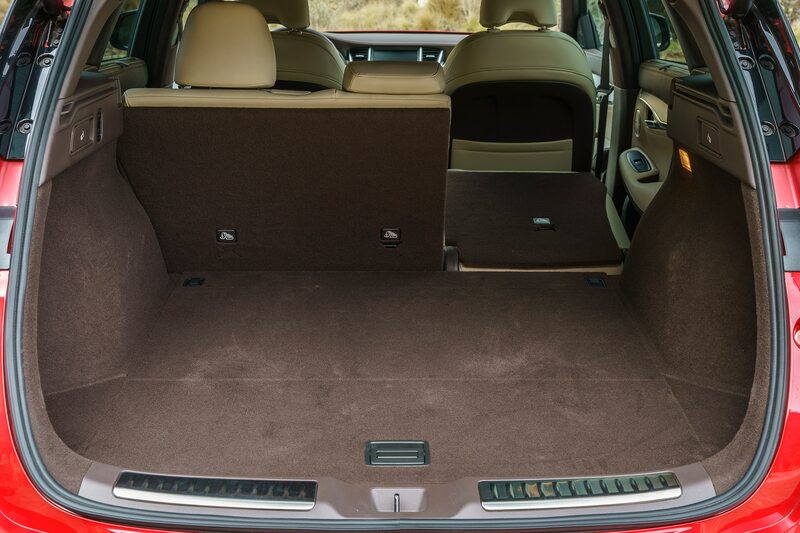 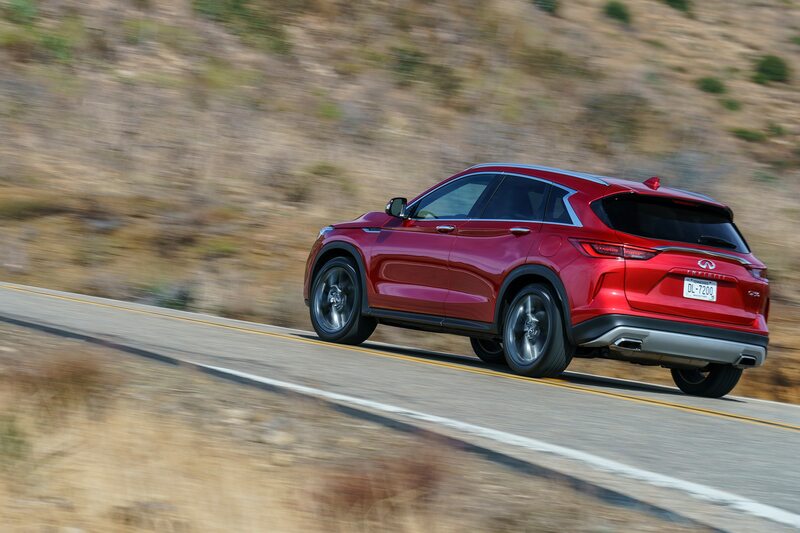 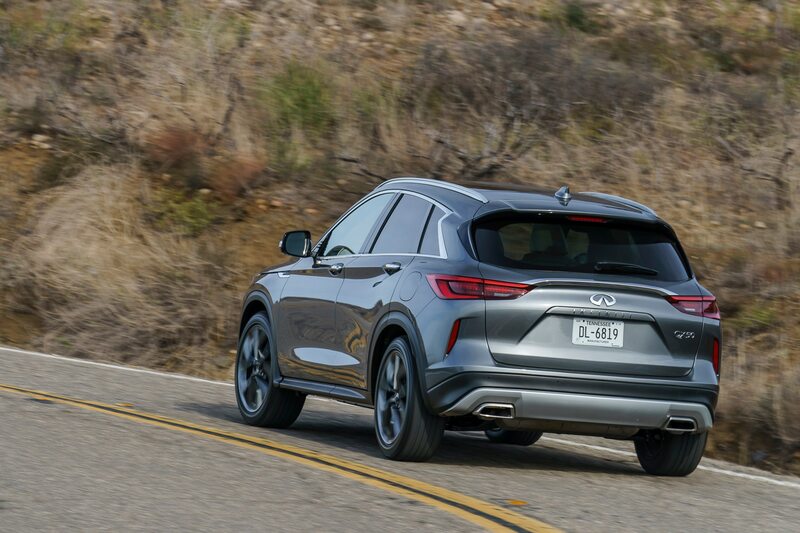 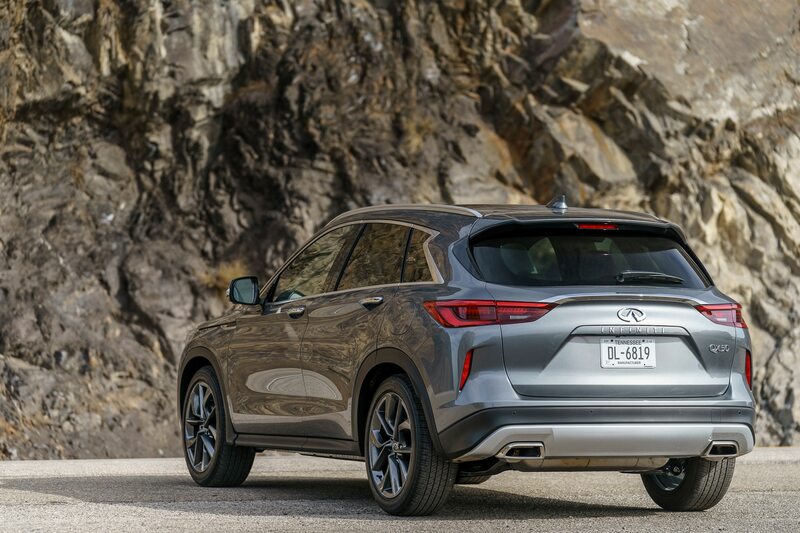 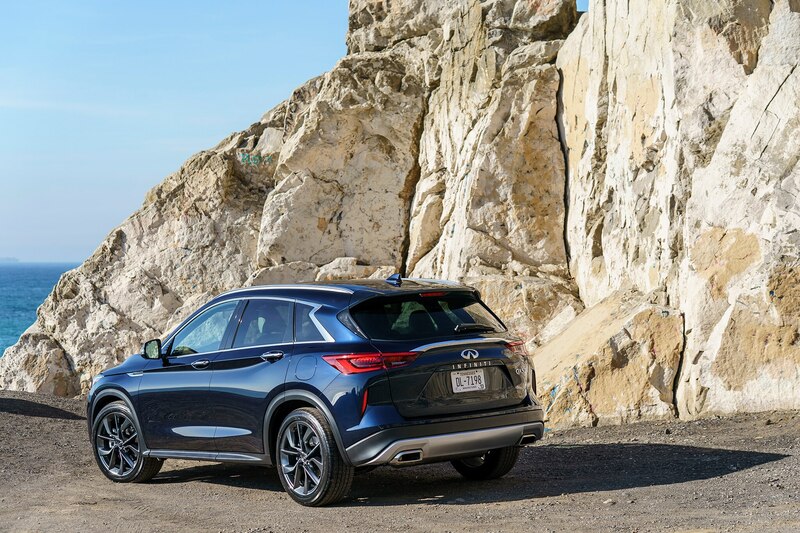 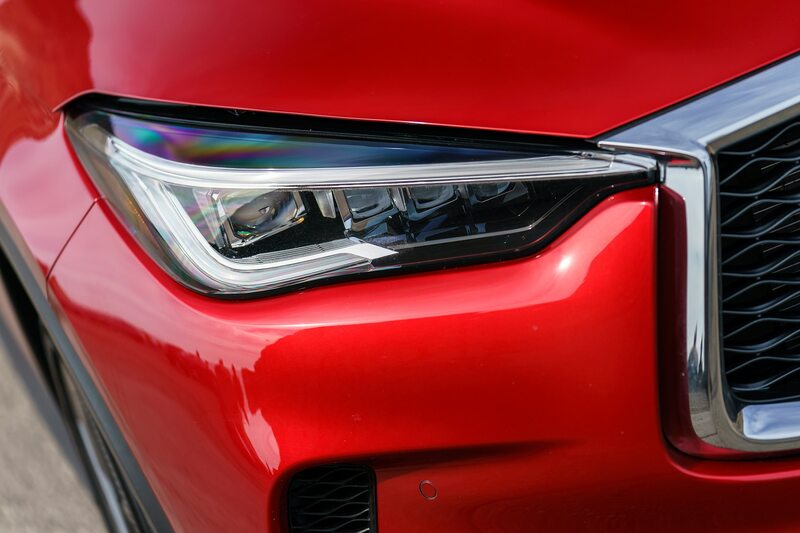 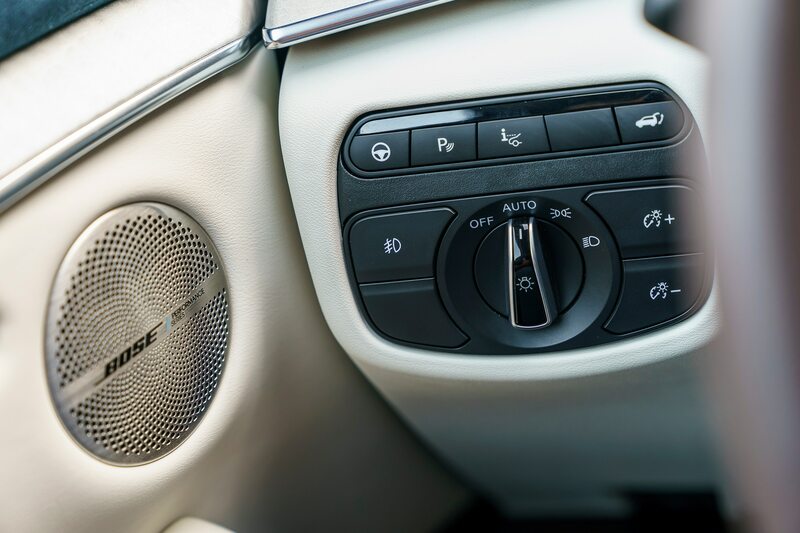 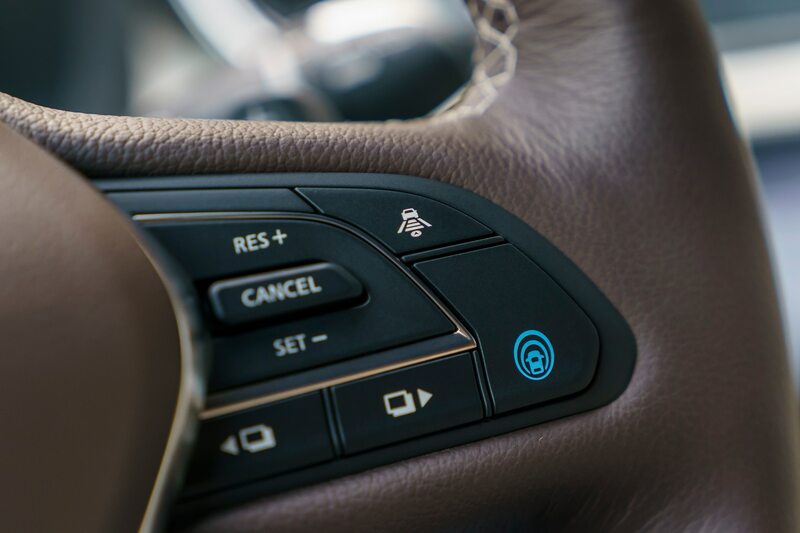 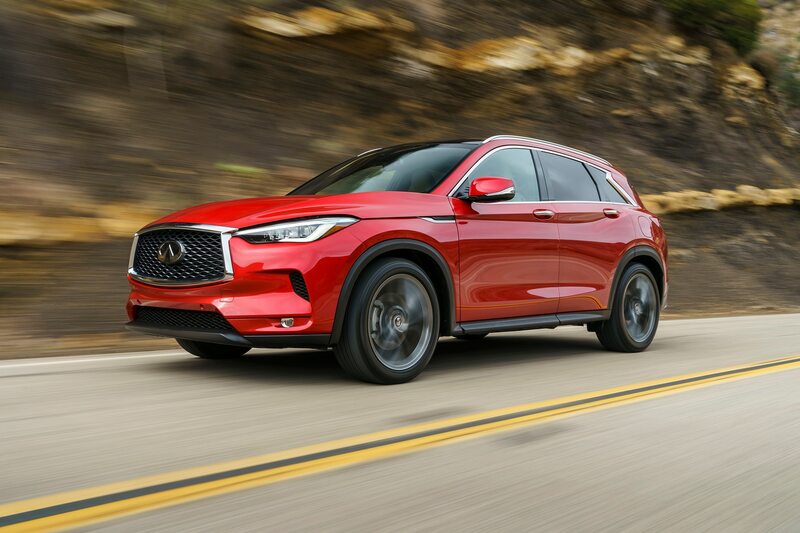 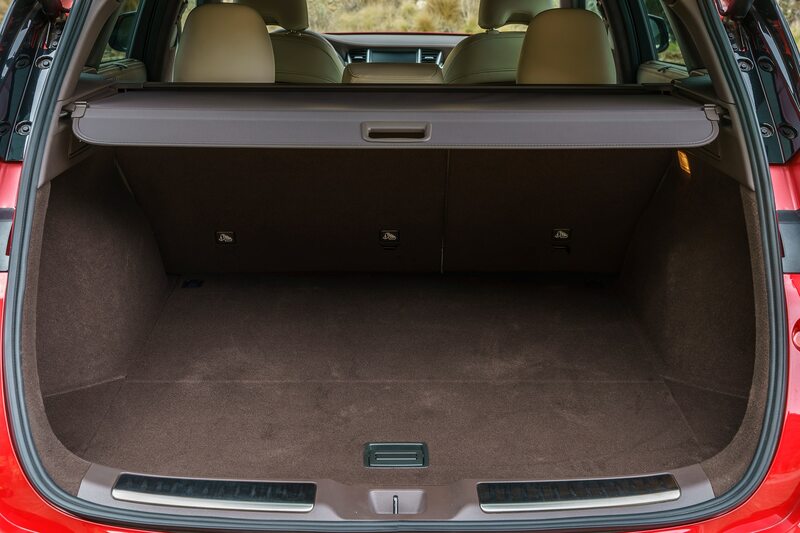 An adjoining interactive wall heightened the experience, enticing guests to explore the power and efficiency of the world’s first production-ready variable compression (VC-T) engine of the QX50. 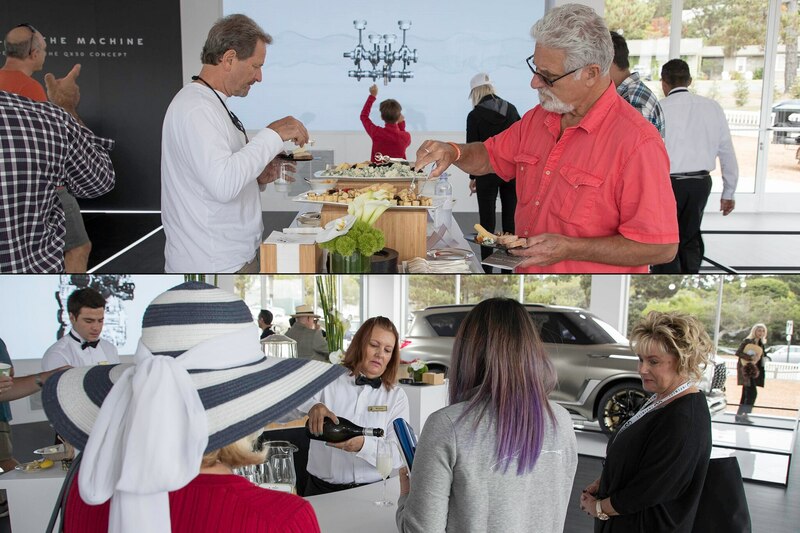 Guests thoroughly enjoyed the daily wine and cheese receptions at the INFINITI Pavilion. 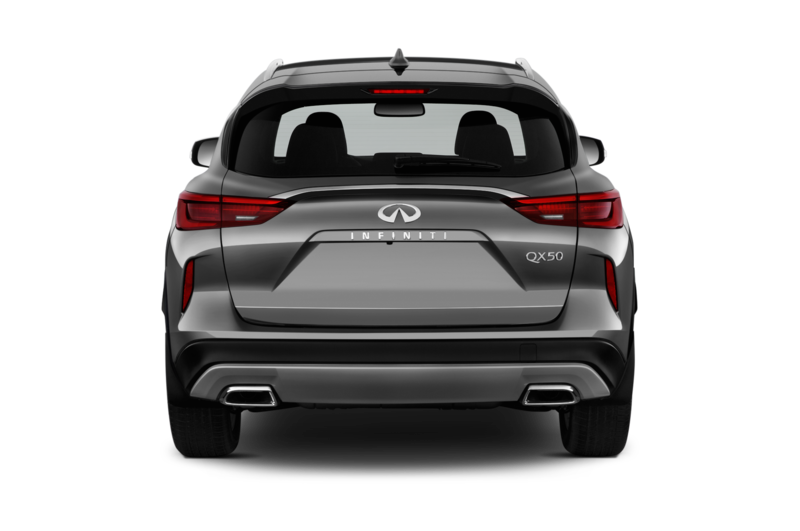 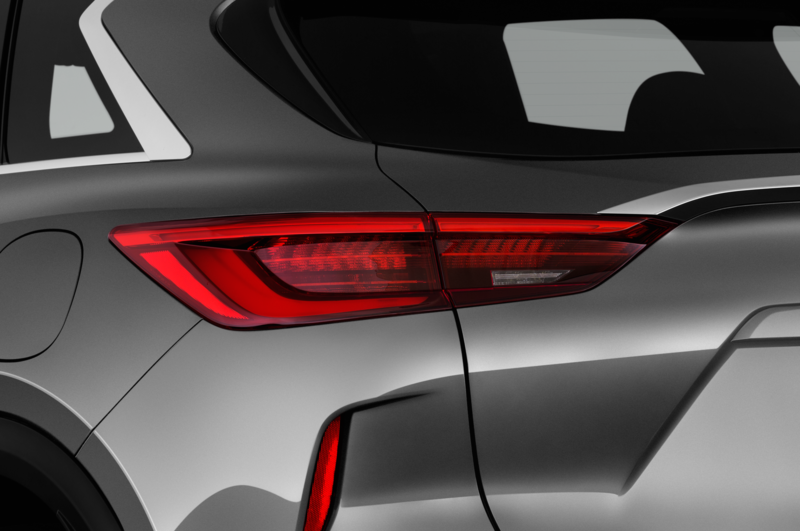 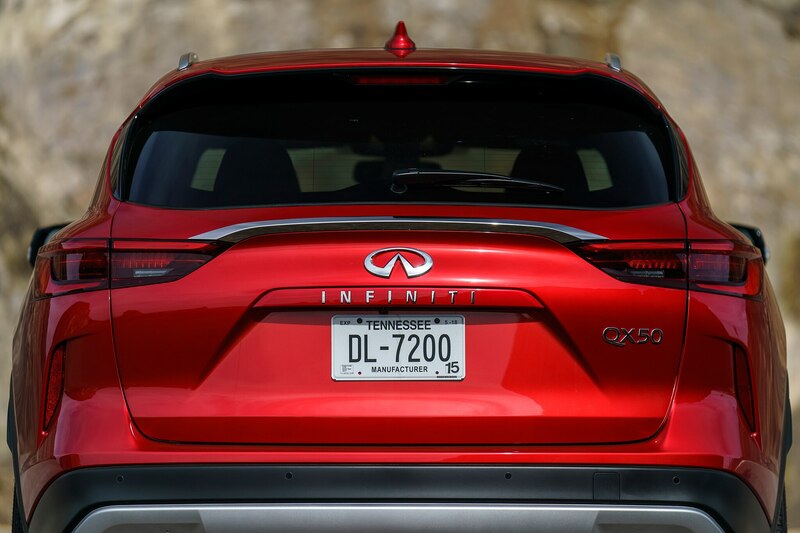 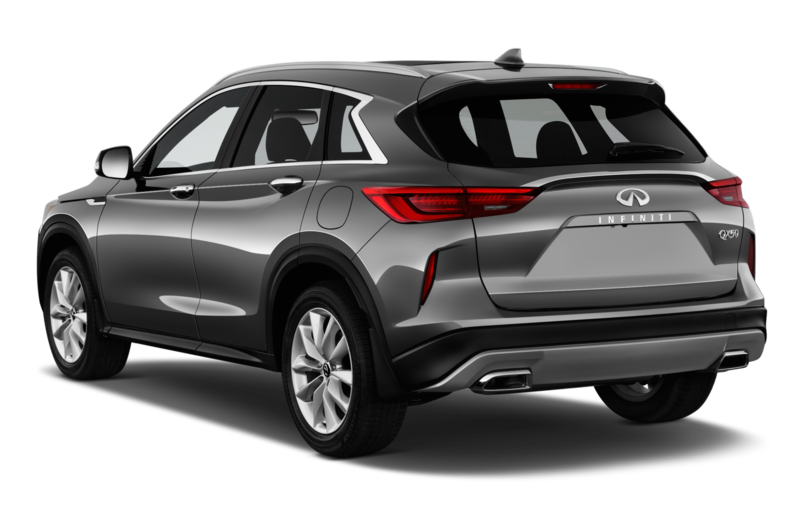 INFINITI of tomorrow… and yesterday? 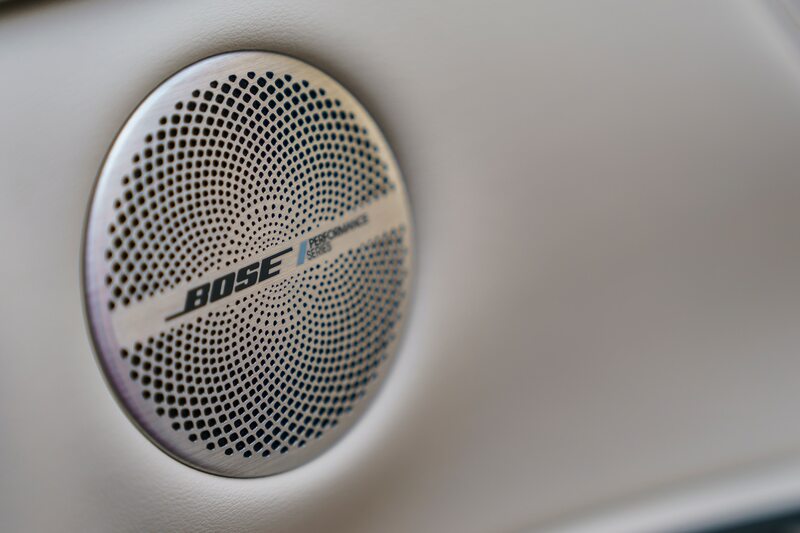 What would a feast of the senses be without a journey of the imagination? 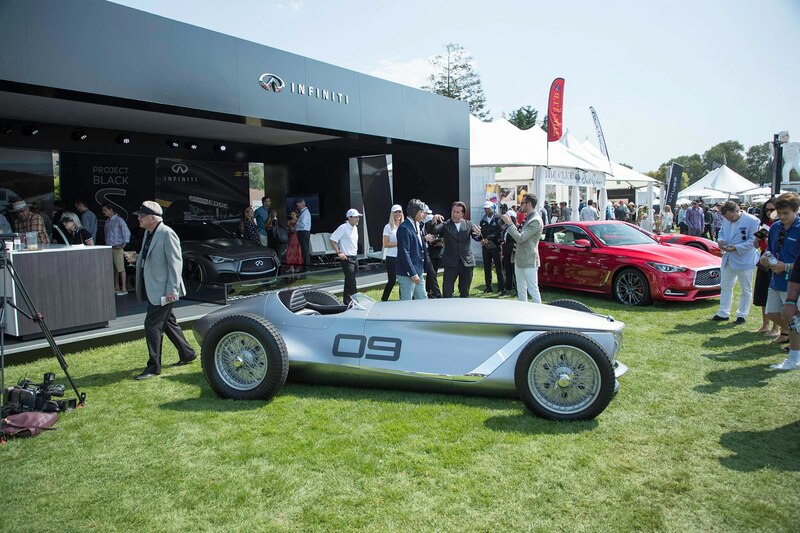 INFINITI concepts met guests at the INFINITI Pavilion, hinting rather confidently at the carmaker’s immediate future as well as what could’ve been its past — in a world where electric roadsters like the Prototype 9 rule the roads and racetrack. 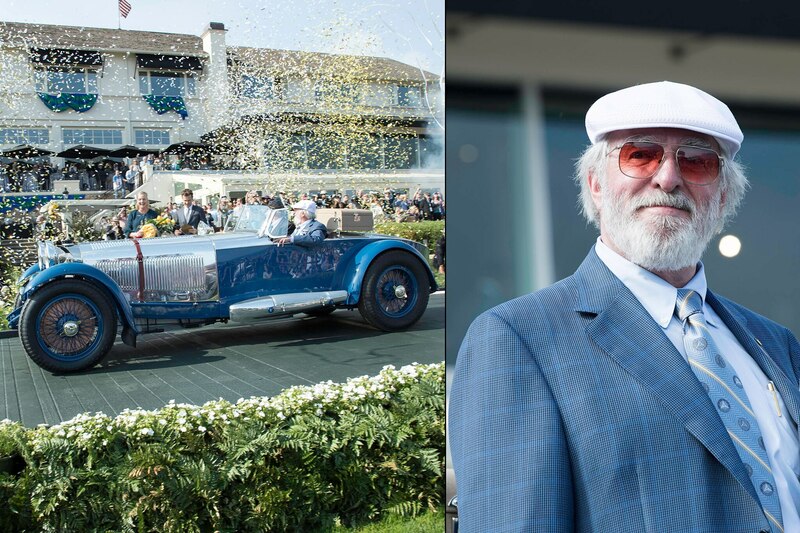 Pebble Beach Concours d’Elegance: The finest automobiles in the world have been celebrated here for 67 years. 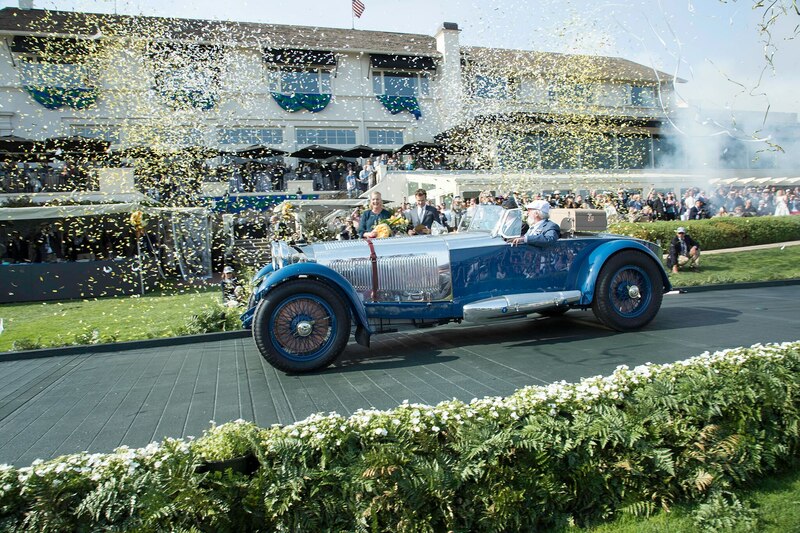 ABOVE: Classically Concours Little says Pebble Beach quite as well as a Bugatti, the winningest marque in Concours d’Elegance history. 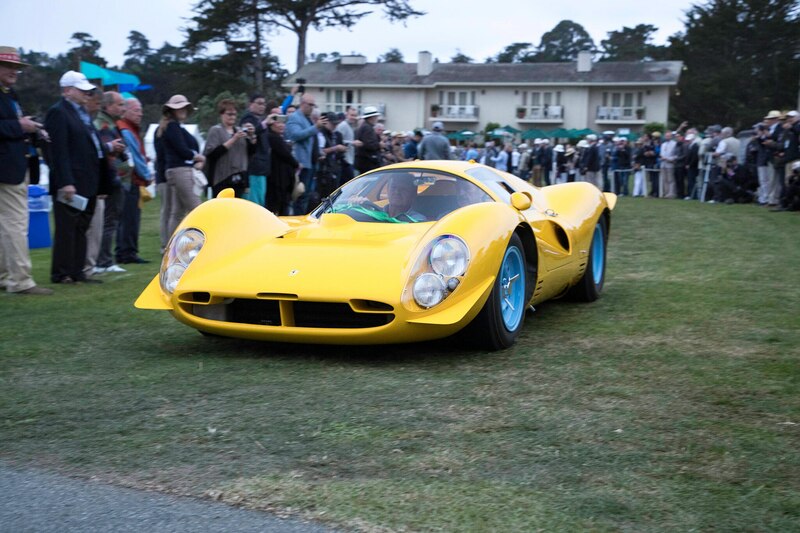 This Gangloff Coupé is a stunner. 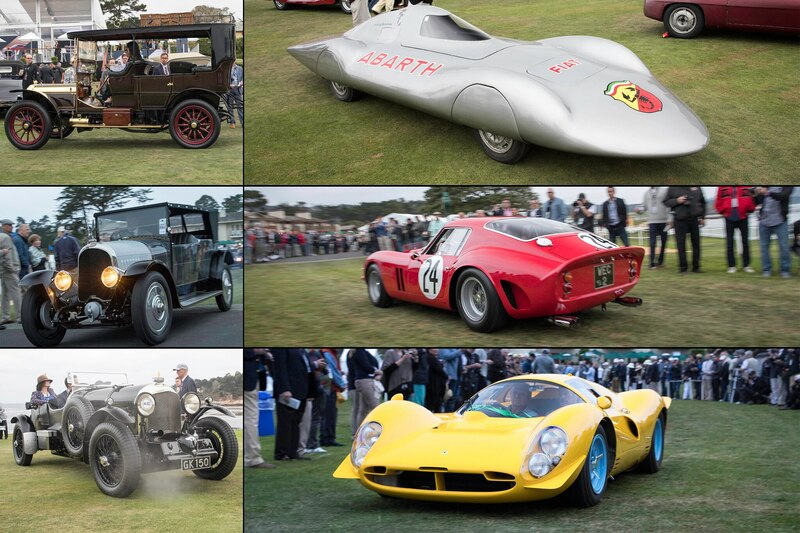 BELOW: Ferrari Celebration Sunday celebrated the 70th anniversary of one of the world’s most beloved brands, Ferrari. 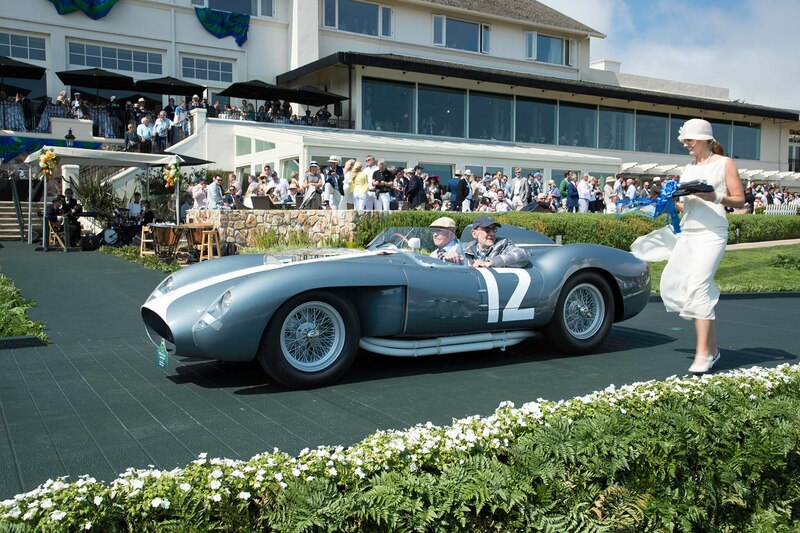 This 1958 335 Sport Scaglietti Spyder won its class. 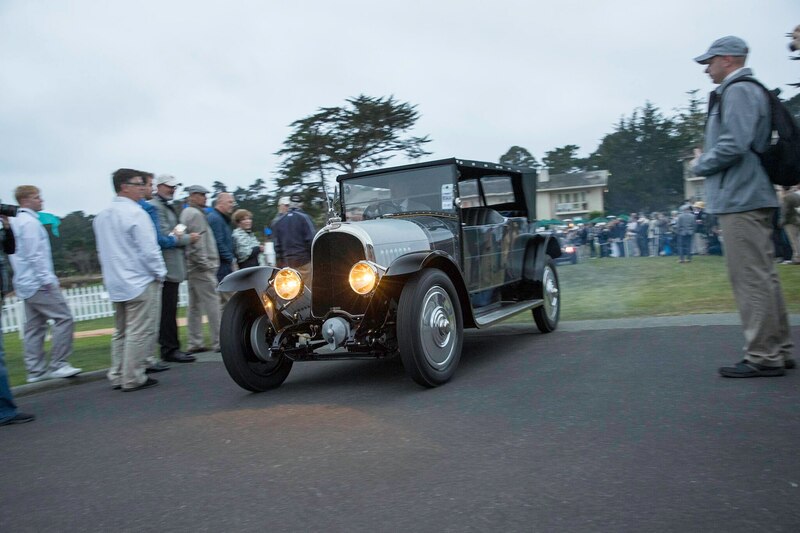 Dawn Patrol: where the die-hard enthusiasts wait to see the best vintage automobiles. 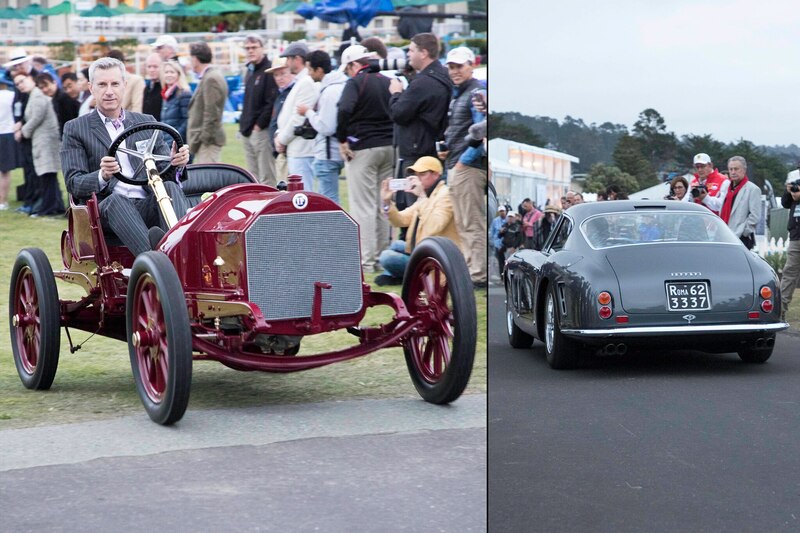 CLOCKWISE FROM TOP LEFT: 1910 Pierce Arrow 48-SS Miniature Tonnea, 1960 Abarth 1000 Record Pininfarina Prototype, 1963 Ferrari 250 GTO Scaglietti Berlinetta, 1967 Ferrari 412 P Competizione, 1930 Bentley 4 1/2 Litre SC Vanden Plas Le Mans Sports, and 1924 Voisin C 4S Sport Tourisme. 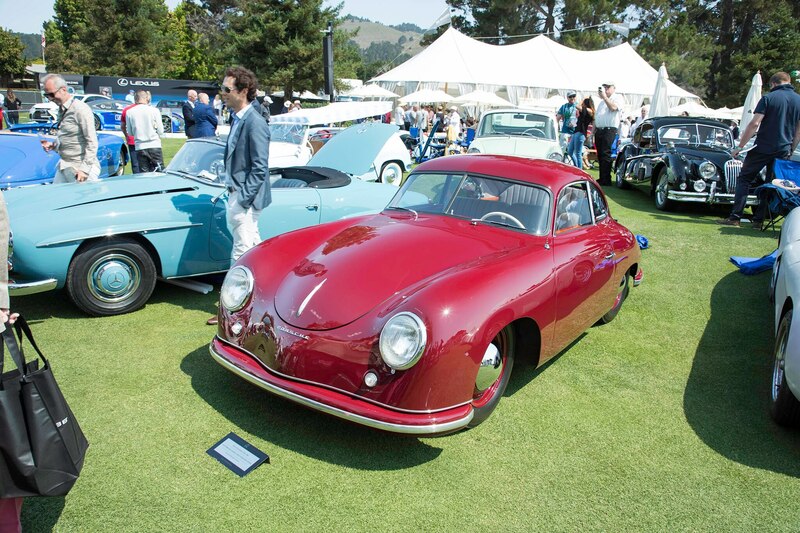 Pebble Beach Best of Show. 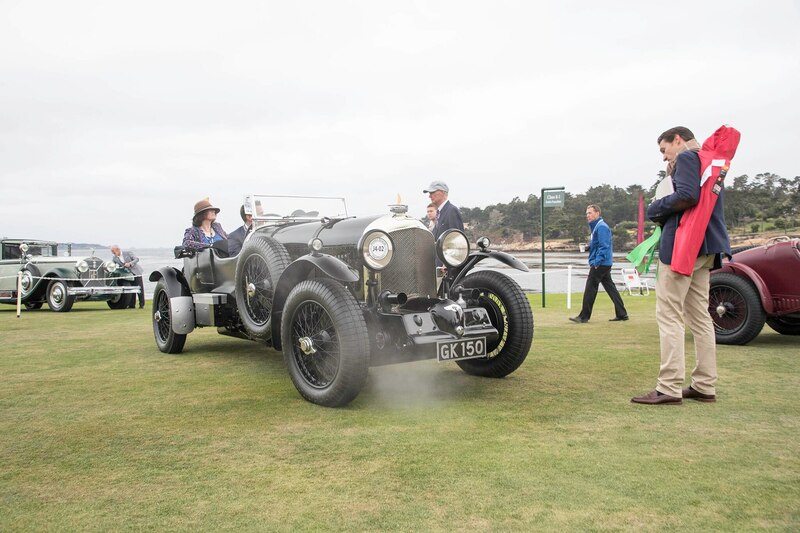 SHINY AND CHROME This year’s Concours was over the second Bruce McCaw’s dazzling 1929 Mercedes-Benz S Barker Tourer rolled onto the field. 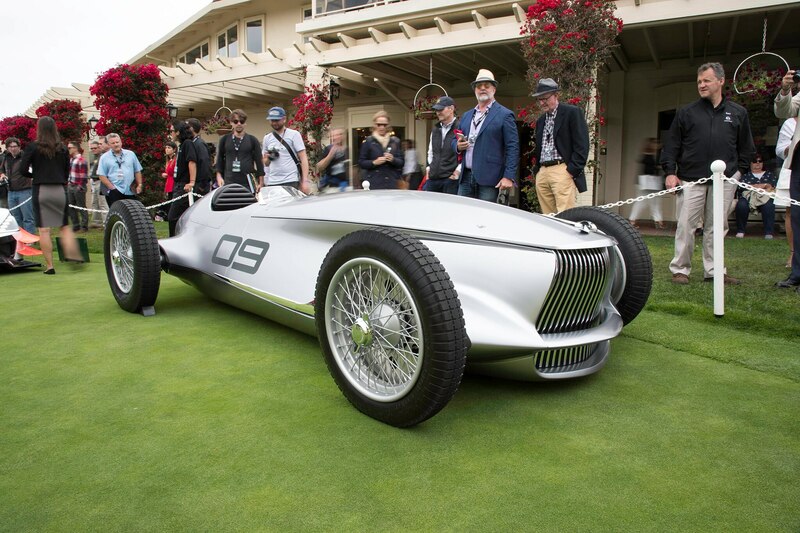 The early morning buzz was all about this Benz, and the second the judges saw it, they knew. 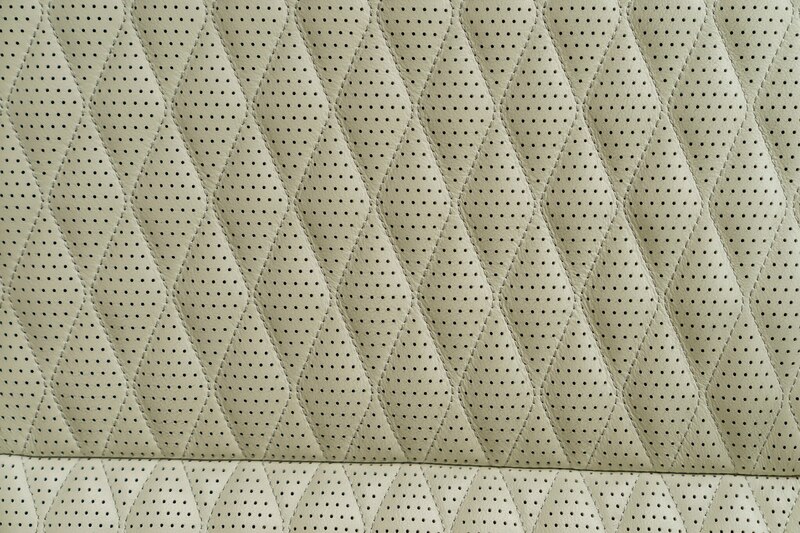 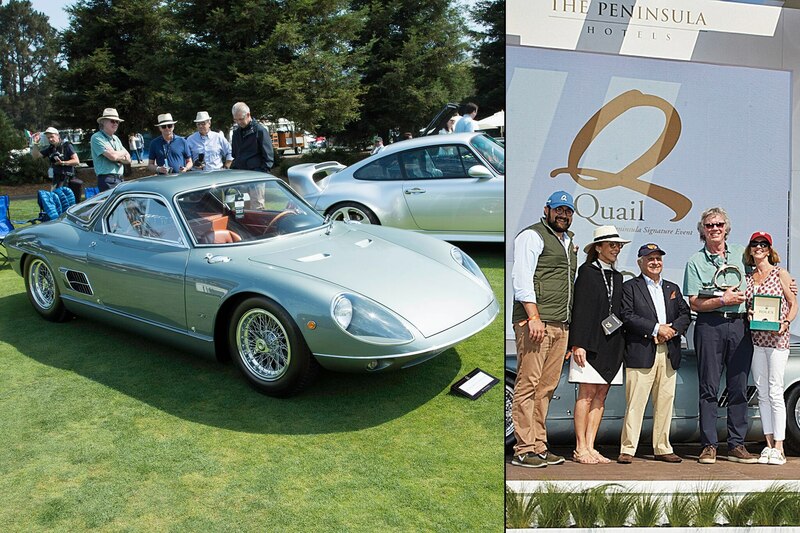 THE QUAIL HIGHLIGHTS. 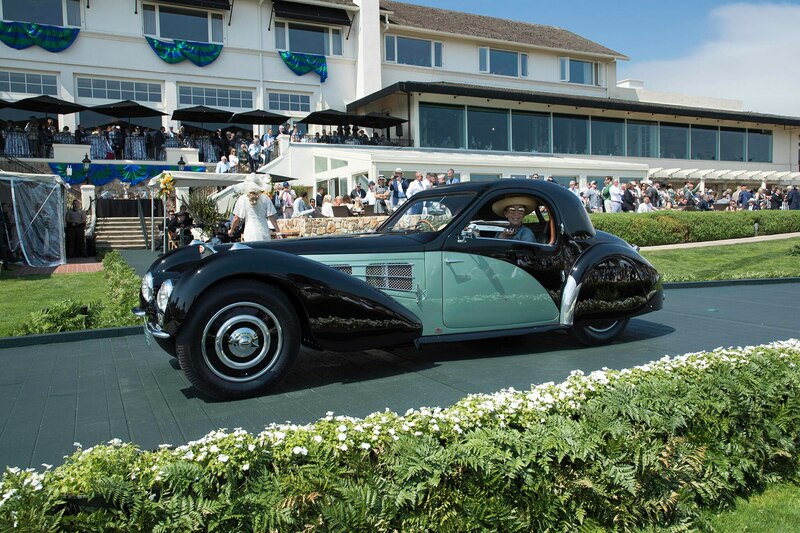 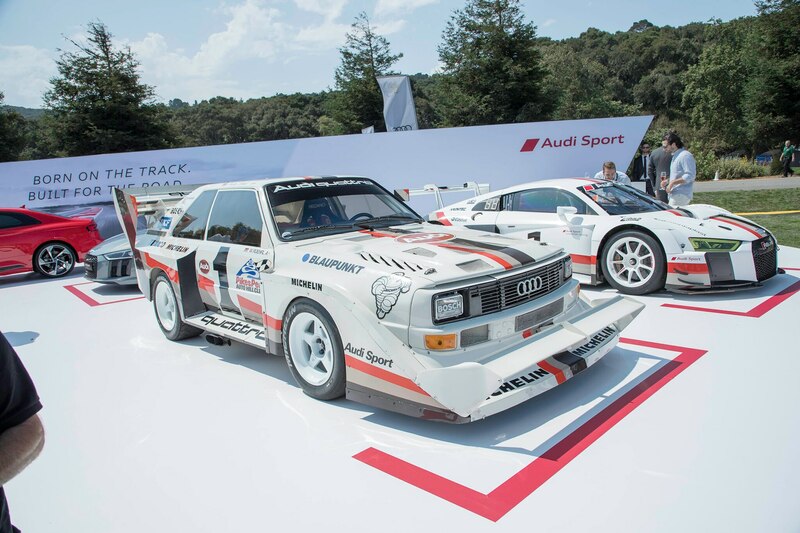 Quail Lodge and Golf Club invited guests to partake in the quail, a motorsports gathering—the ultimate collection of rare vehicles and vintage race machines. 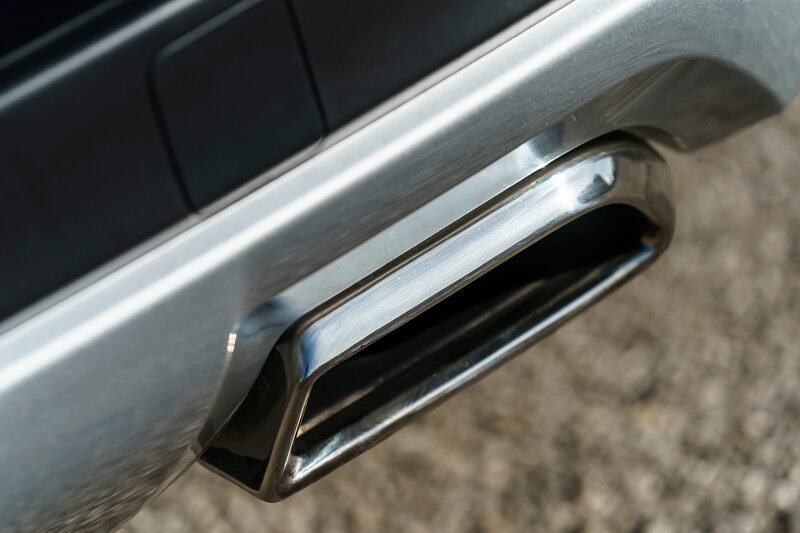 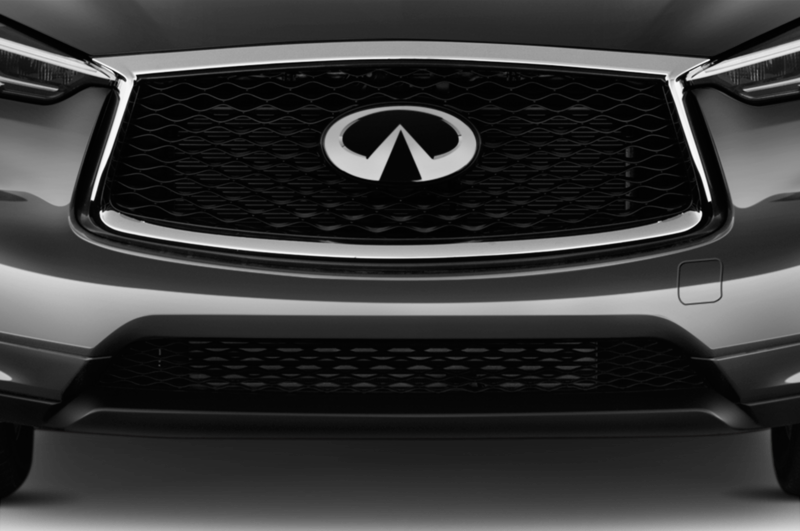 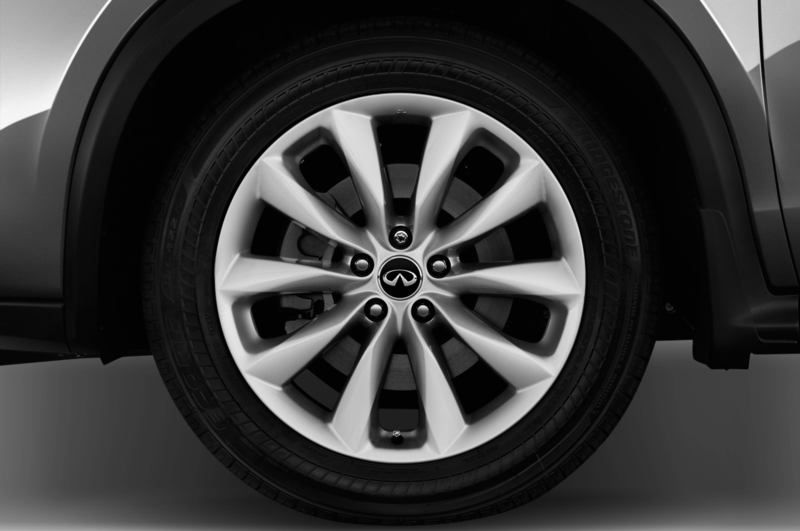 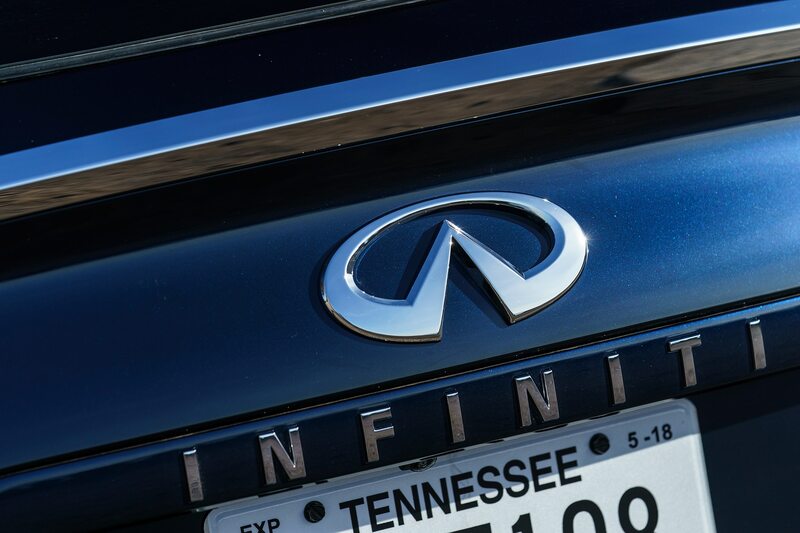 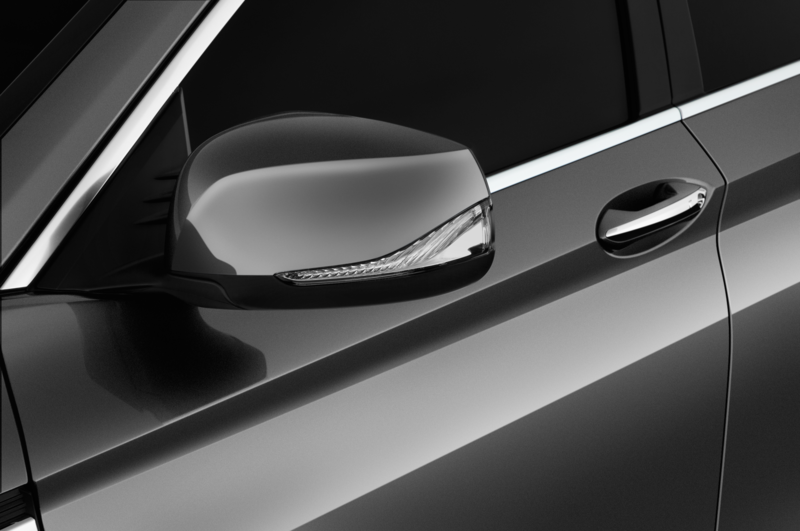 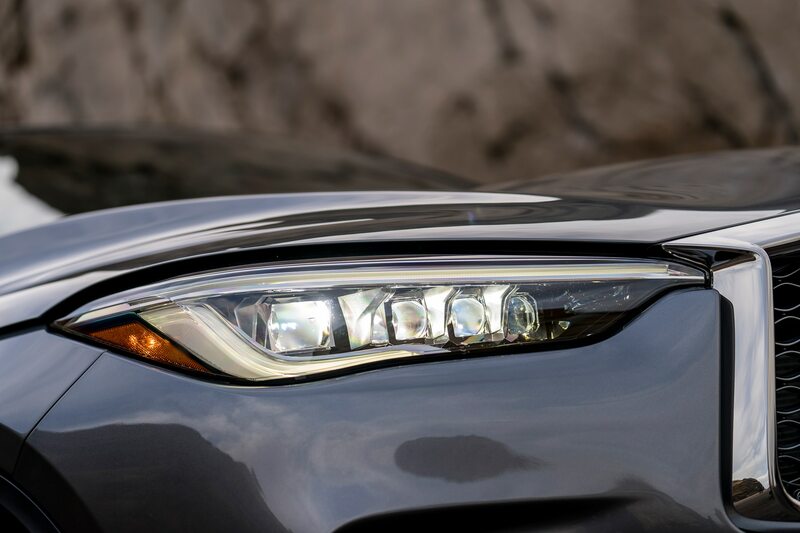 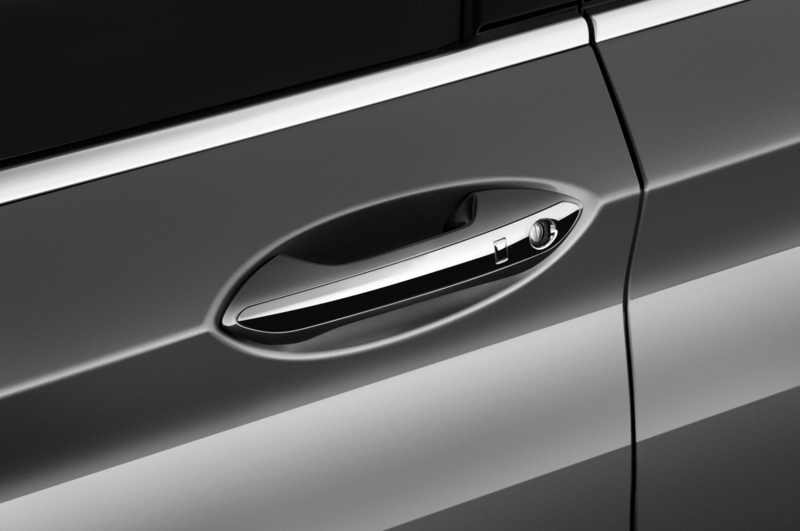 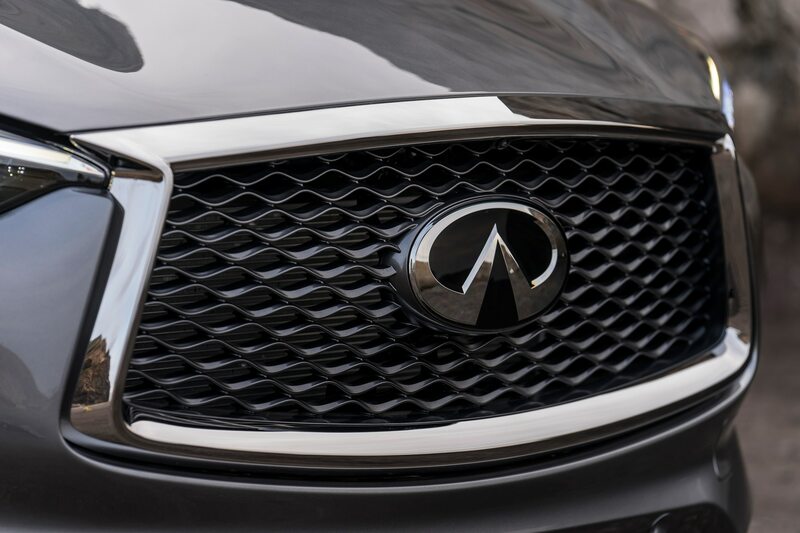 and for the fourth year running, INFINITI continues to proudly be a platinum sponsor. 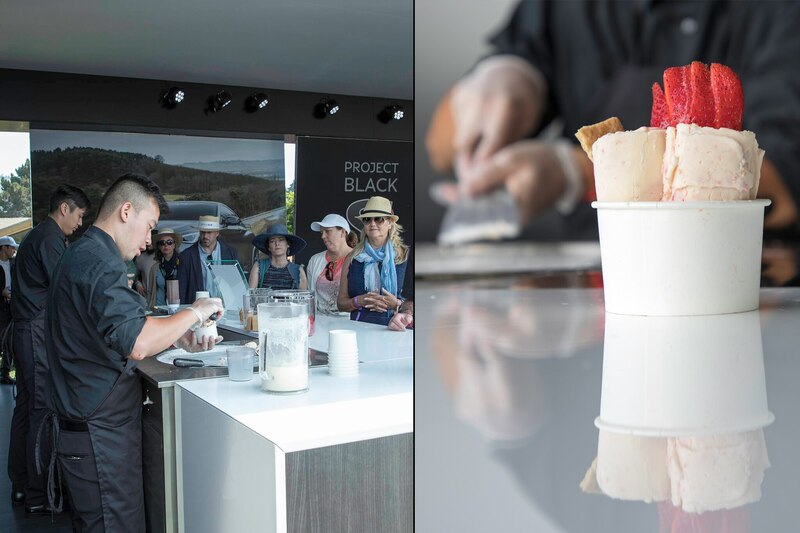 Guests were invited to beat the heat with made-to-order Thai inspired rolled ice cream from New York’s 10Below Ice Cream. 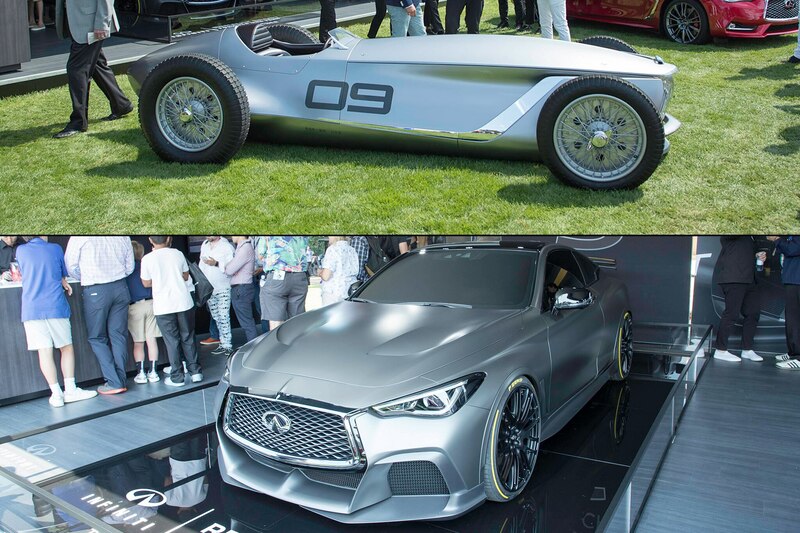 Concept creation is very much an evolution of design, and The Quail’s guests this year were treated to two INFINITI concepts in their earlier stages: the Project Black S (BOTTOM) and Prototype 9 (TOP). 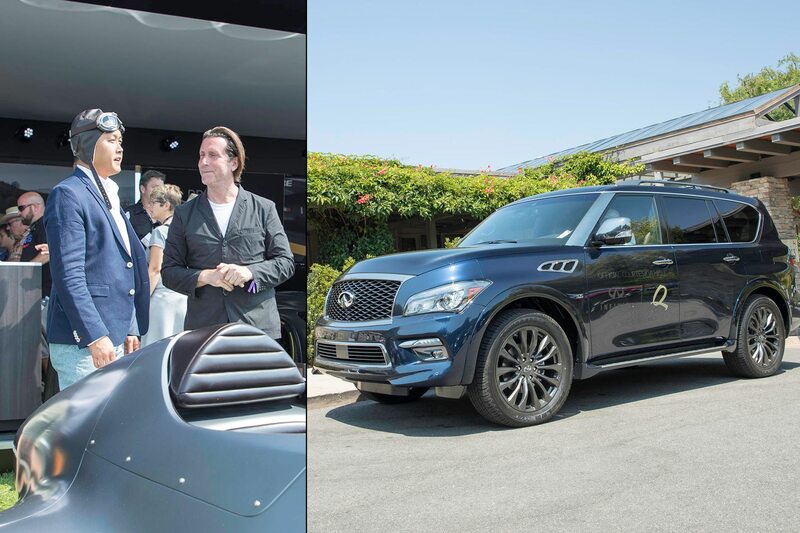 Current Senior Vice President for Global Design at Nissan Motor Co., Ltd. (formerly Executive Design Director at INFINITI) Alfonso Albaisa and Motor Trend’s Ed Loh at The Quail. 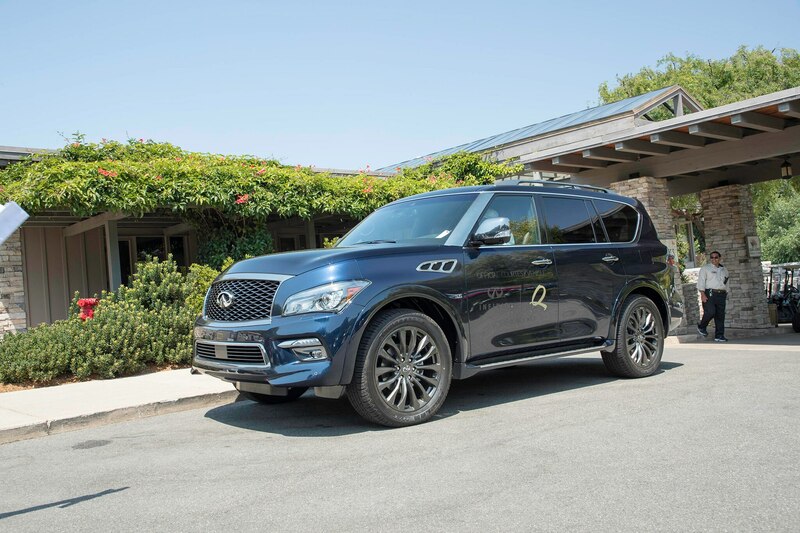 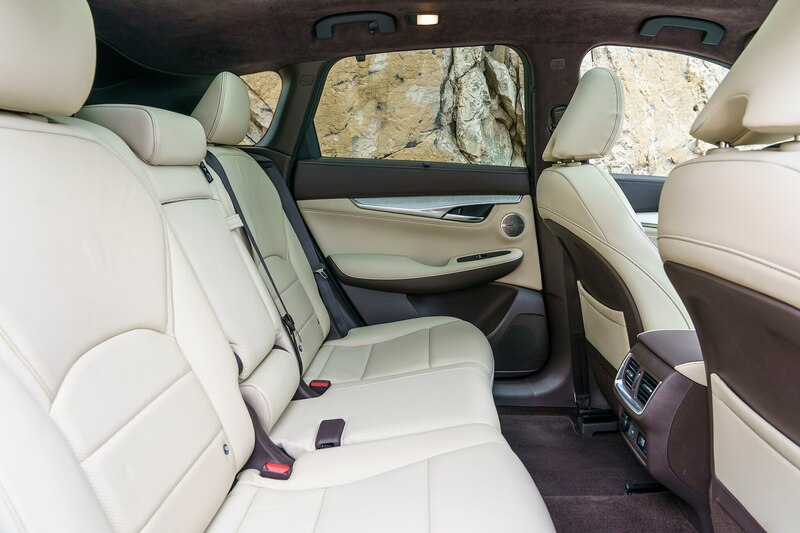 Shuttling guests to Quail Lodge and Golf Club in absolute luxury were a fleet of INFINITI QX80 SUVs. 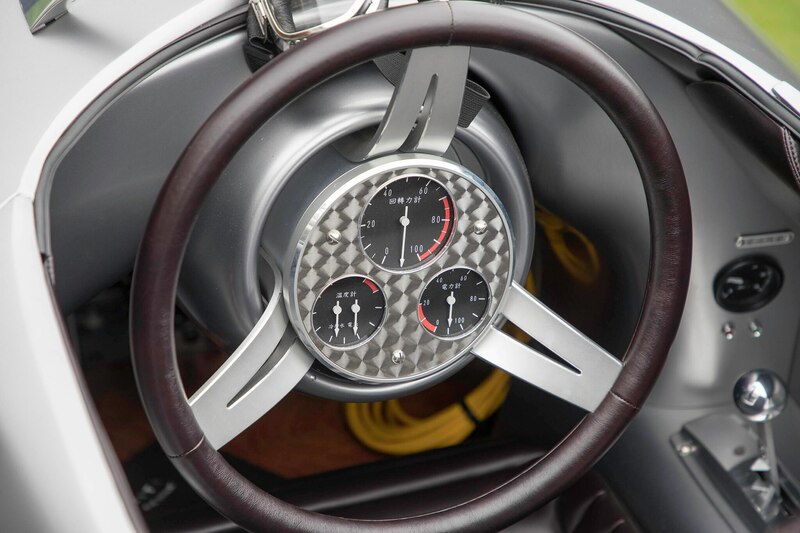 Most intriguing Cars at The Quail. 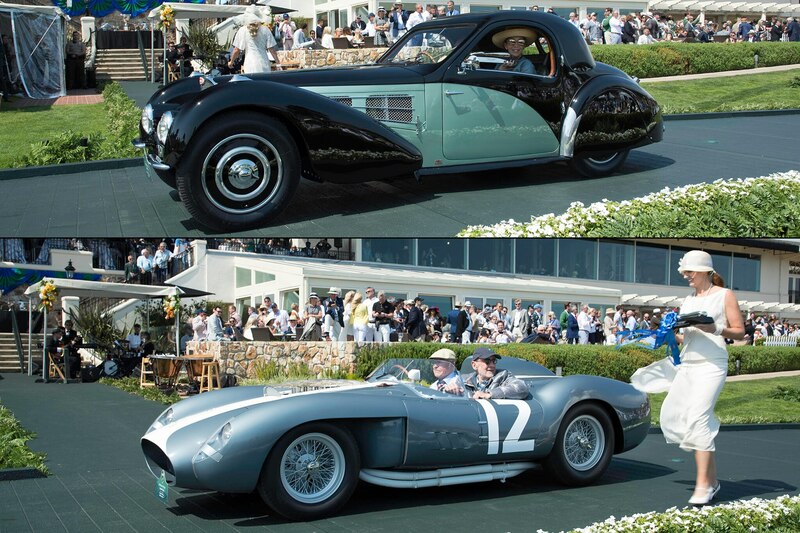 How do you choose from all of the amazing vehicles at the Quail? 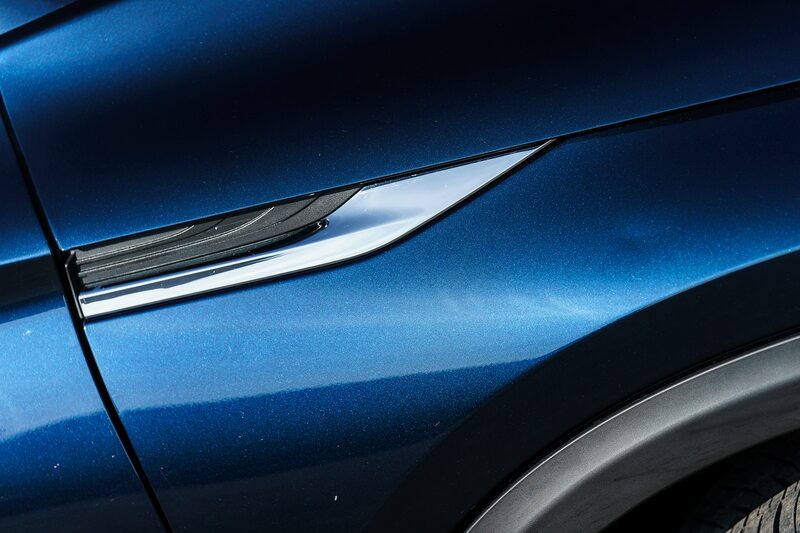 Very carefully. 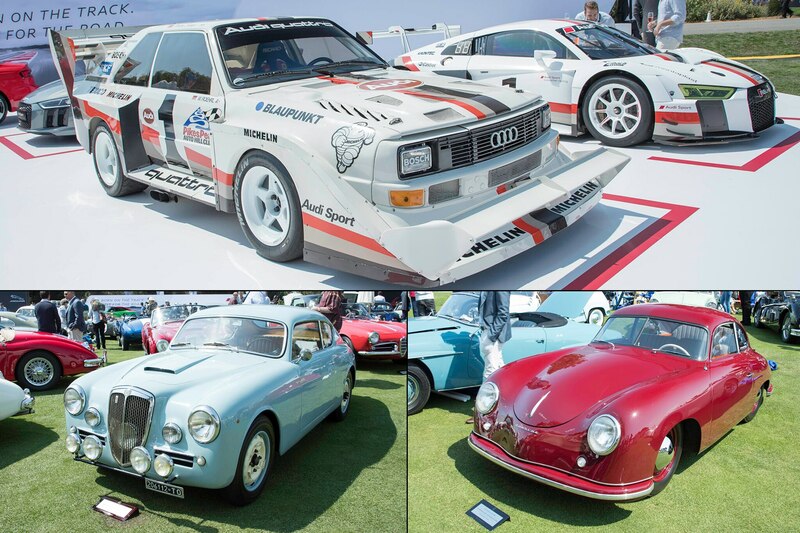 CLOCKWISE FROM TOP: 1987 Audi Quattro S2, 1951 Porsche 356 Pre-A Coupe, and 1955 Lancia Aurelia B20 GT. 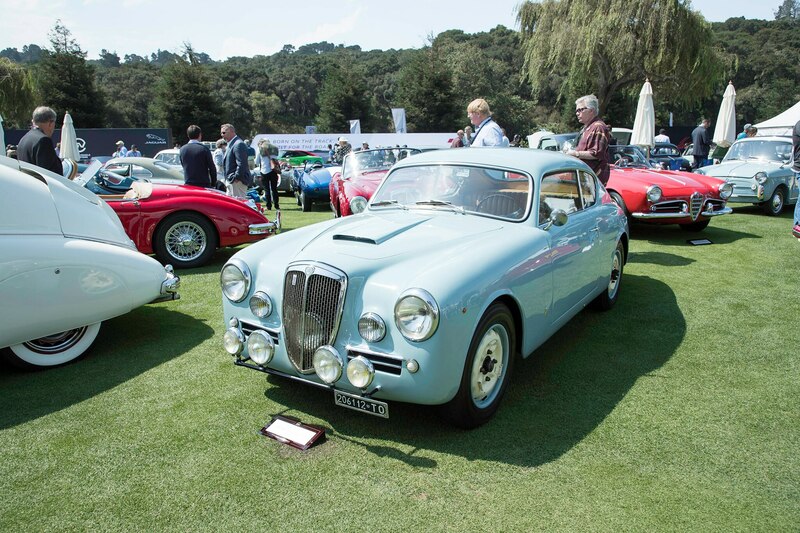 Quail Best of Show. 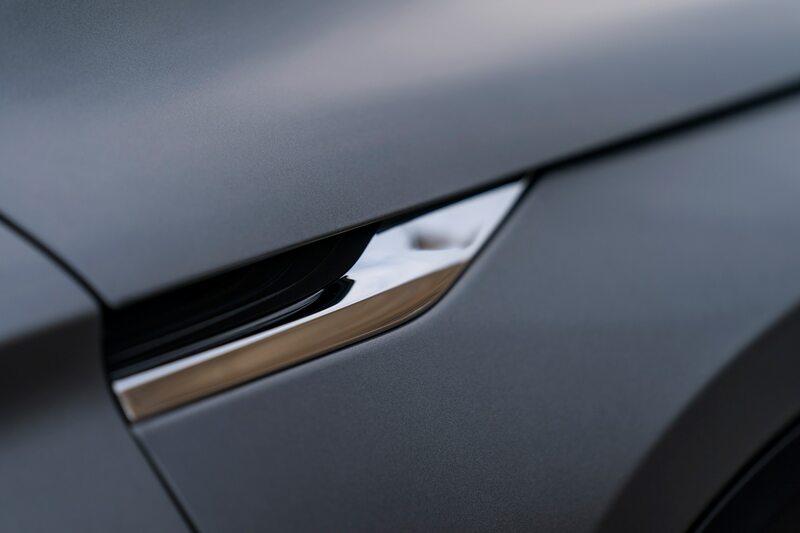 ITALIAN UNICORN. 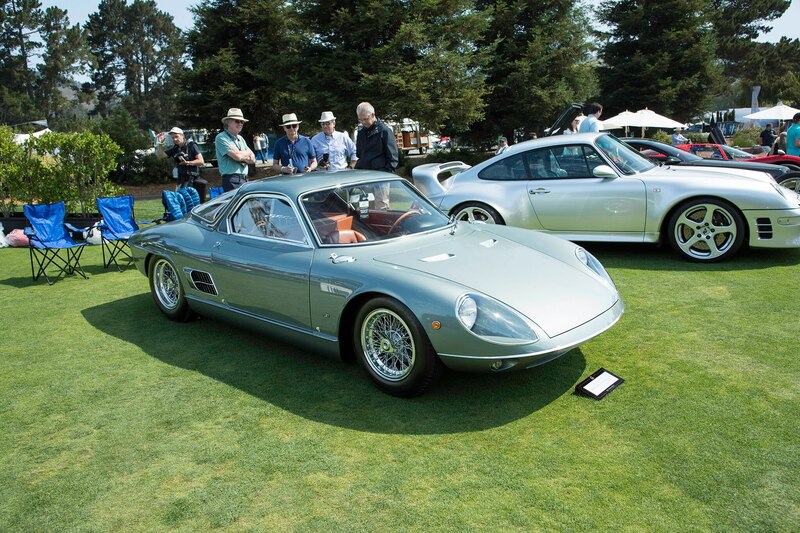 One of twelve ever built, the ATS 2500 GTS was meant to be a competitor to Ferrari when launched in 1963. 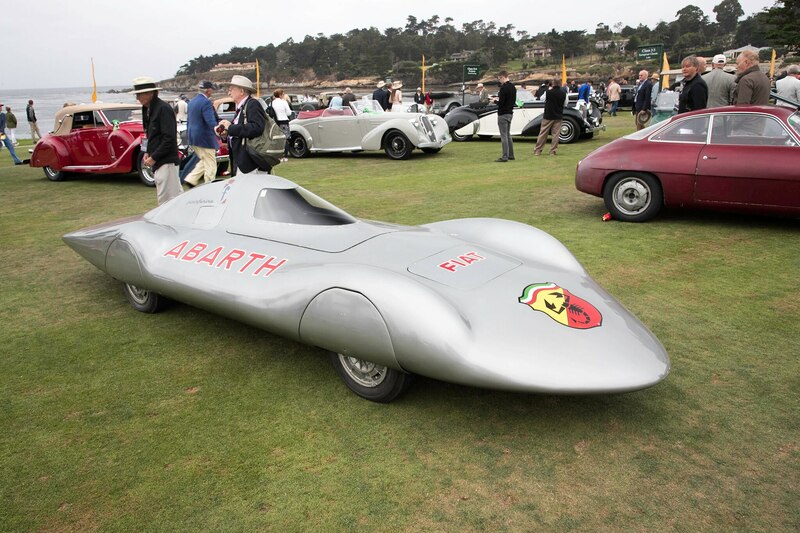 Fifty-four years later, this ATS beat every Ferrari present to win Best of the Show at The Quail.